I’ve met some of the nicest people in Tel Aviv, my boyfriend is from Herzliya (a place just north of Tel Aviv), and we visit frequently! 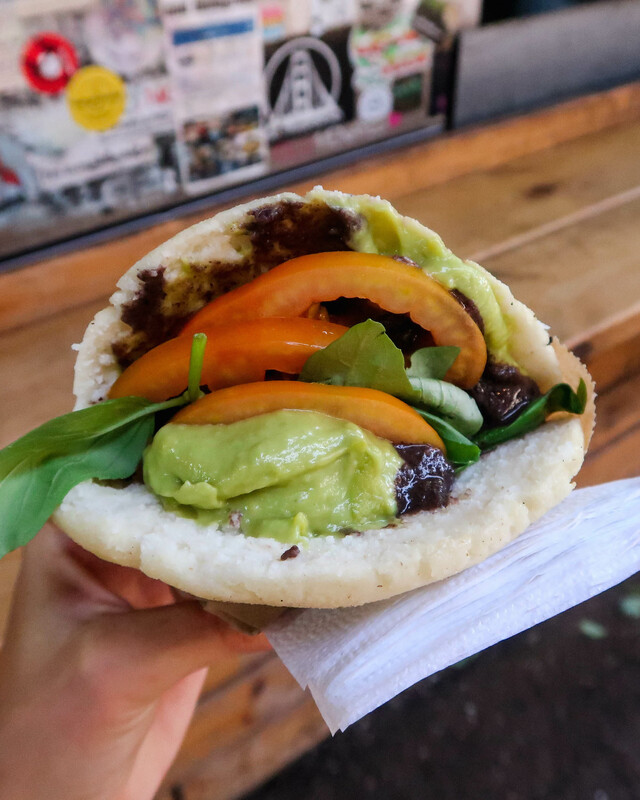 After my last Vegan Guide to Berlin, Vegan Guide to Tokyo and Vegan Guide to Koh Phangan it is about time that I add another essential one to the mix: a Vegan Guide to Tel Aviv! 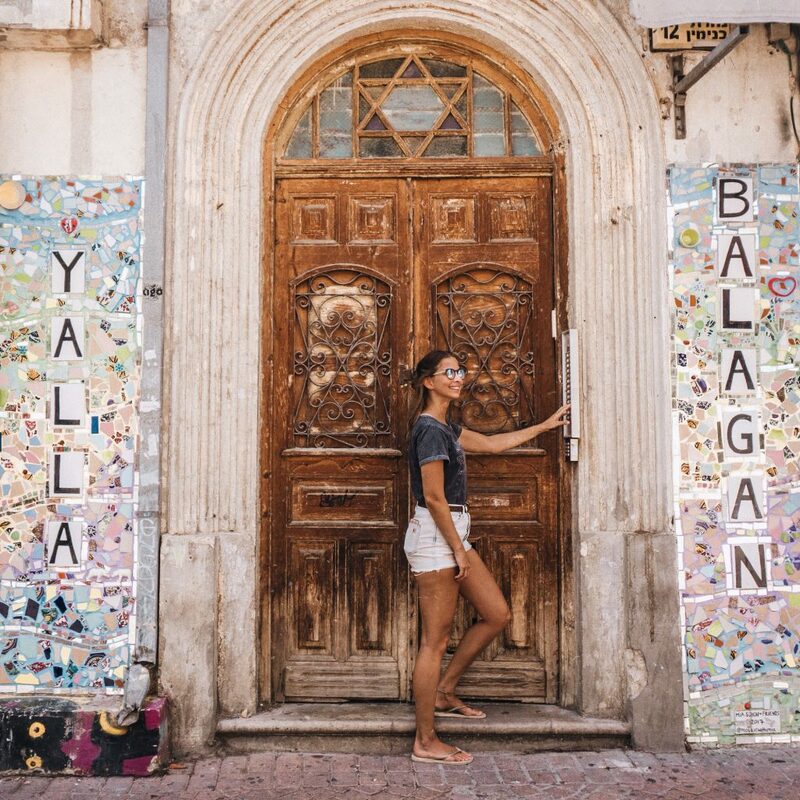 After living in Israel for 2 years and traveling to Tel Aviv countless times, I’ve decided to share my experience regarding what to do and eat in this wonderful city! 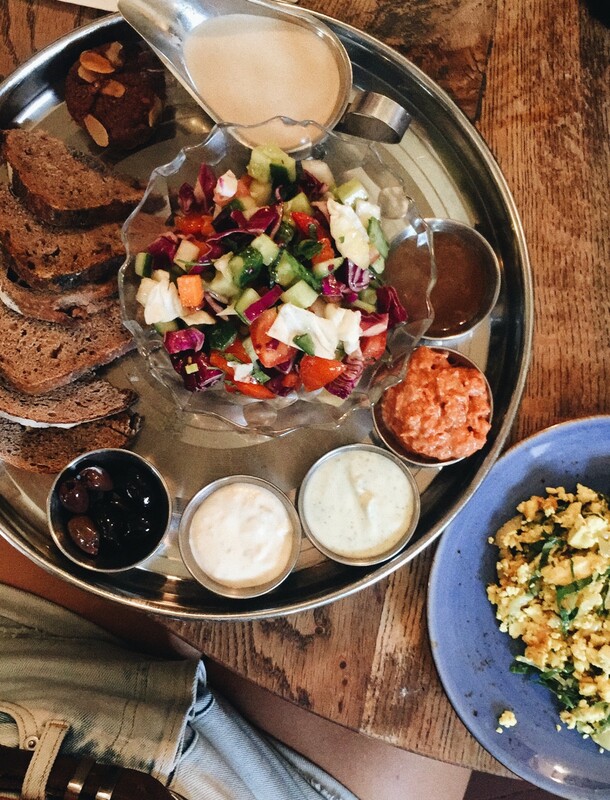 Many people might not know this, but Tel Aviv is actually considered to be the world’s VEGAN capital! Say whaaat? 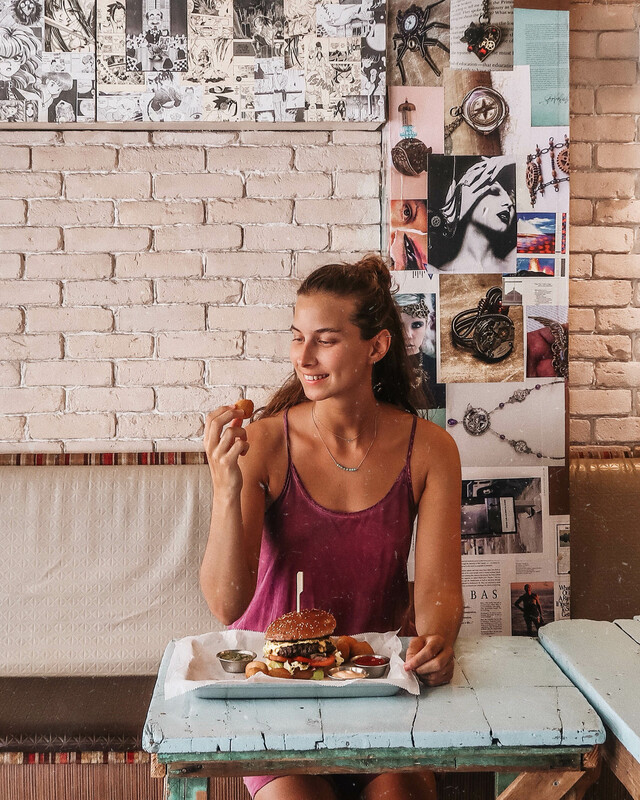 There is an incredible amount of over 400 vegan-friendly places in Tel Aviv and new ones are popping up every week or so (“vegan-friendly” meaning at least 25% of menu items are plant-based). 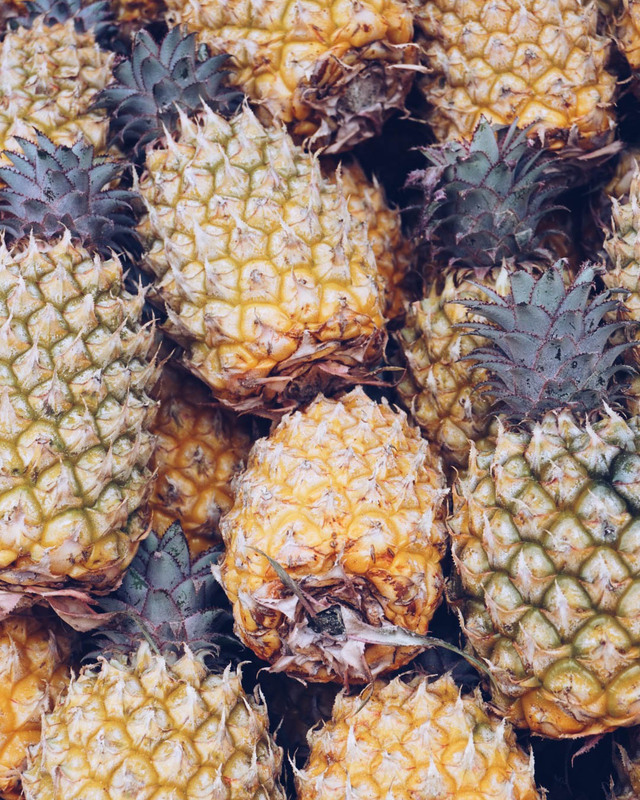 Due to the sun-kissed climate, high quality fruits and vegetables are never too far – you can see it in the colorful creations, taste it in the flavor and smell it in the aroma of what’s on your plate. According to estimates about 5% of the Israeli population identify as vegan, which is the highest percentage per capita in the world. Apart from that about 8% are vegetarian and don’t eat meat at all. 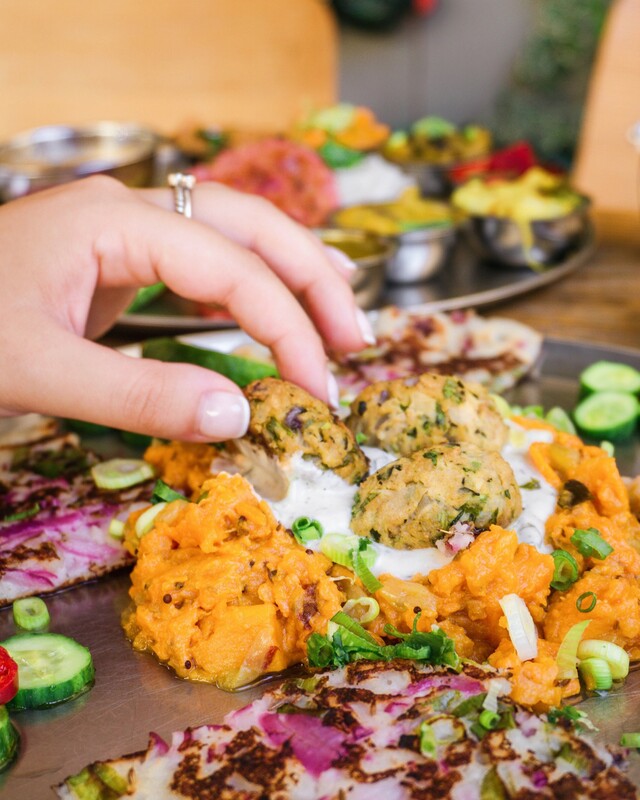 Hence plant-based cooking is not only thriving but highly demanded by the 1 million Israelis who don’t eat meat – most of which are living in Tel Aviv! As you can imagine Tel Avivi supermarkets are filled with vegan alternative products. Most of the major mainstream brands offer vegan options by now, with Domino’s offering its first vegan pizza in Israel! There’s also an annual Vegan Congress happening in Tel Aviv with famous vegan activists like James Aspey and Joey Carbstrong speaking. 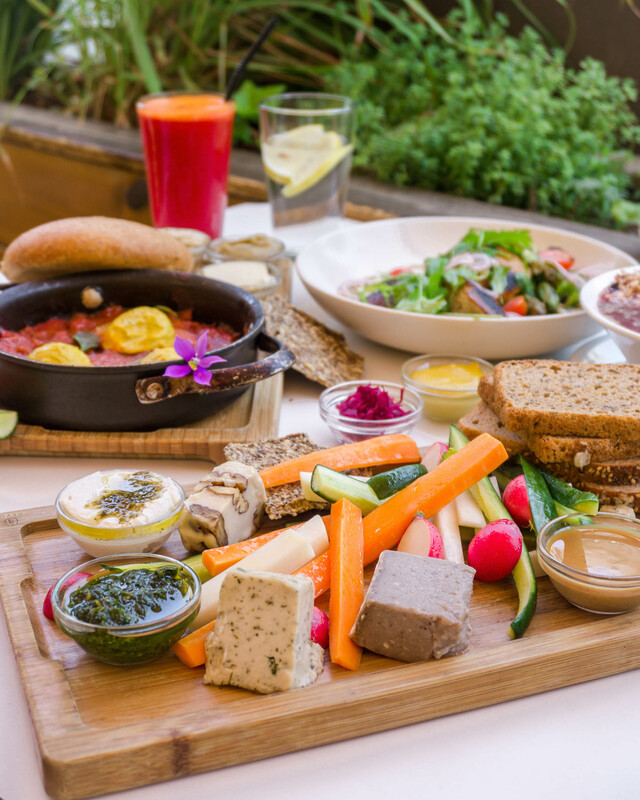 The vegan movement in Tel Aviv is very active and there are several non-profit organizations (Vegan Friendly/Vegan Active & Anonymous for Animal Rights, Glass Walls) working relentlessly on promoting the message and bringing veganism to the mainstream! 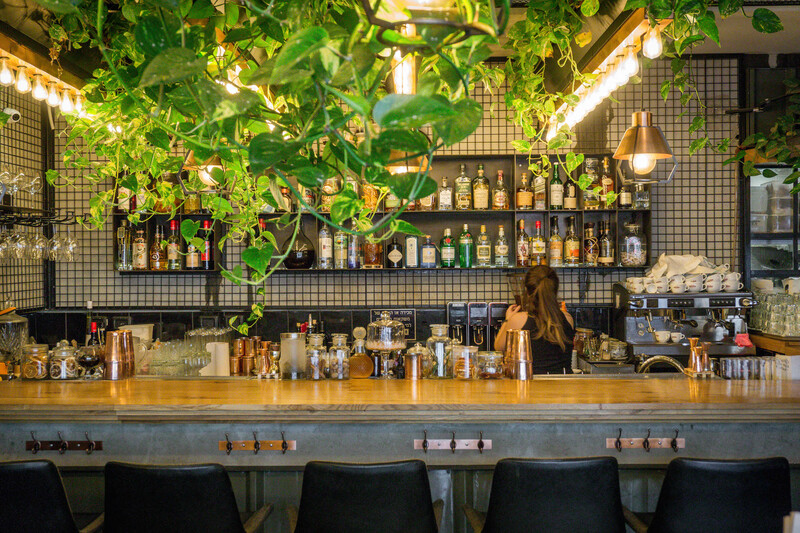 Changes happen very fast in Tel Aviv and the culinary landscape is adapting accordingly. 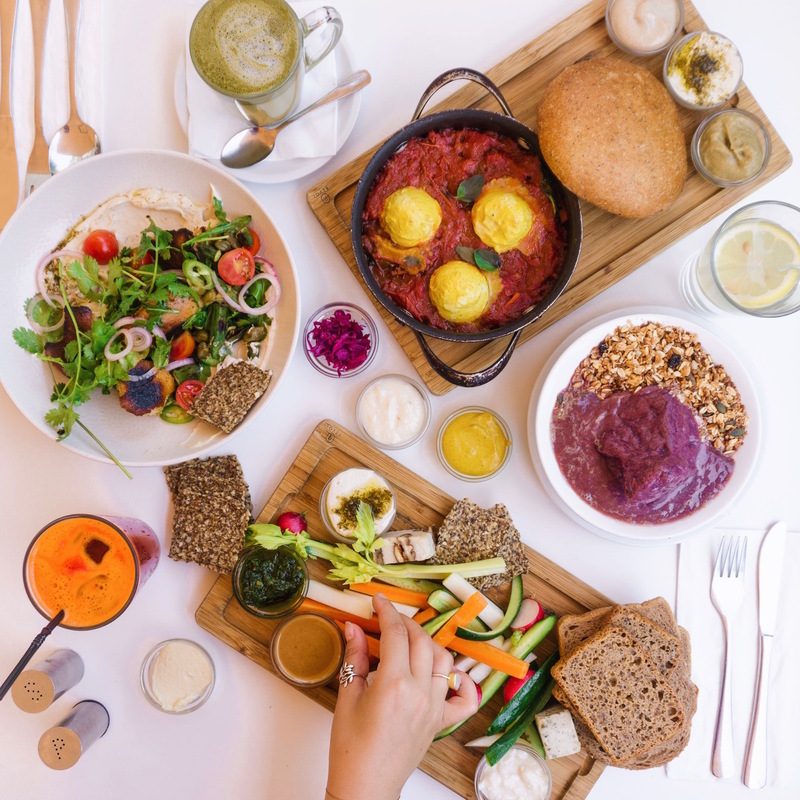 Hence, putting together a comprehensive vegan guide to Tel Aviv is very much overdue! Since I constantly get asked where to go, what to do and where to stay in Tel Aviv I’ll include a bit of everything in here! One of my favorite places in Tel Aviv is probably the market. 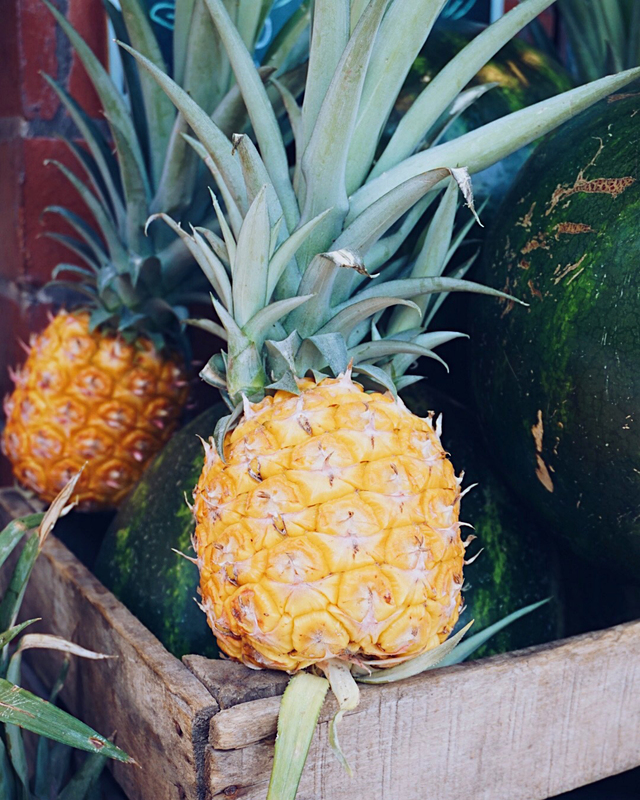 It’s full of seasonal, fresh produce and there are always new exciting things to try! Better not go there on a Friday though because it’s going to be terribly crowded and quite aggressive! 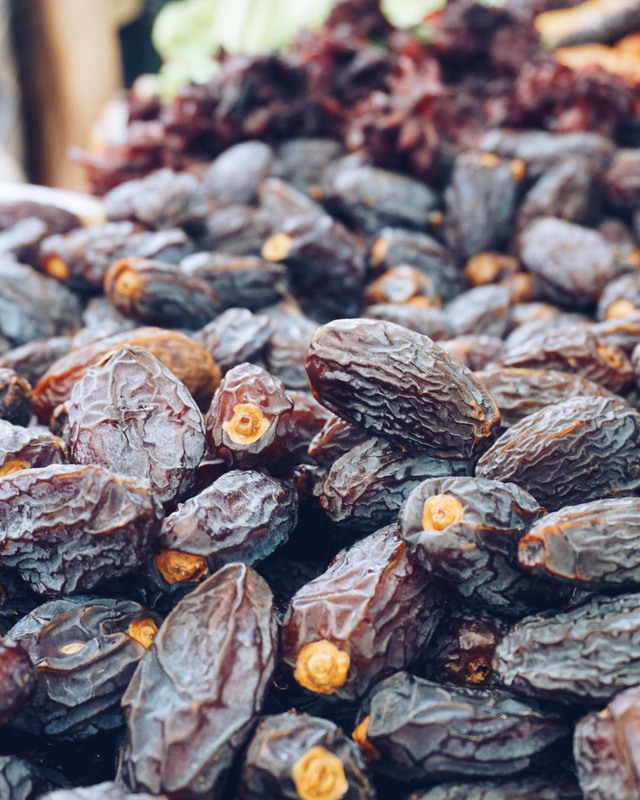 Make sure to try fresh date juice, a Marrocan sfinge donut, fresh fruit, Venezuela arepa, and buy tons of dried fruit (especially the Medjool dates) and spices to take home! 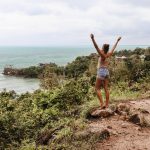 If you like reading my guides please leave me a comment and follow me on my Instagram, Facebook and YouTube channels for more travel/foodie content! Now that the food is covered, let’s talk about where to stay in the city. The accommodation options are endless and it helps to know which areas are better than others. 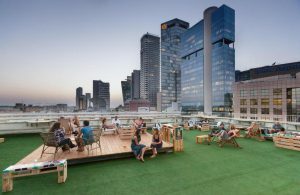 Like in any other city you have the option between airbnb, hotels, hostels, and holiday apartments. For Tel Aviv in particular I wouldn’t recommend airbnb because it’s almost as expensive as renting a low cost hotel, which will most likely be cleaner. Every area is a bit different so you want to be located as centrally as possible (and not have to walk 40 minutes especially during summer). My preferred location is anywhere close to Rothschild boulevard/Allenby/Neve Tsedek and not further than 15 minutes walking distance to the beach! 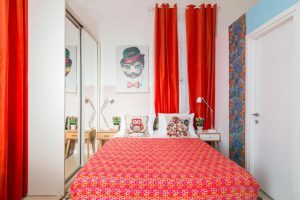 Hotel apartments are the perfect compromise between an Airbnb and a hotel and they’re great for Tel Aviv! TLV Bauhaus by tlv2go has a vast amount of apartments all over the city and they don’t disappoint! I’ve stayed twice with them so far in 2 different 1 bedroom/studio apartments and I loved it so much! I stayed at 2 of their apartments at the Lizetta house at Mohaliver St. 24 and had a marvelous stay (photo above was from one of their apartments with balcony)! 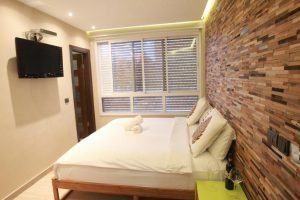 These specific apartments are located perfectly in between the Shuk haCarmel (market) and the Rothschild boulevard, with walking distance to almost anywhere. It’s about 5-8 minutes walking to the beach and even has a small kitchen unit with a fridge (super handy for storing fresh fruits from the market and leftover food). 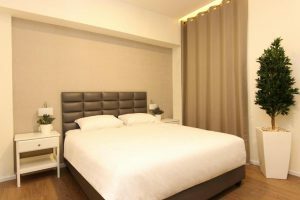 Depending on when their 1 bedroom studio apartments are anywhere from $105 upwards per night! A tiny bit further north but still in a great location and very close to the beach! Simple design with good value for money with an average price at about $80 per night. Very simple but well decorated boutique hotel only 3 minutes from the beach and in a great location with an average price at about $100 per night. 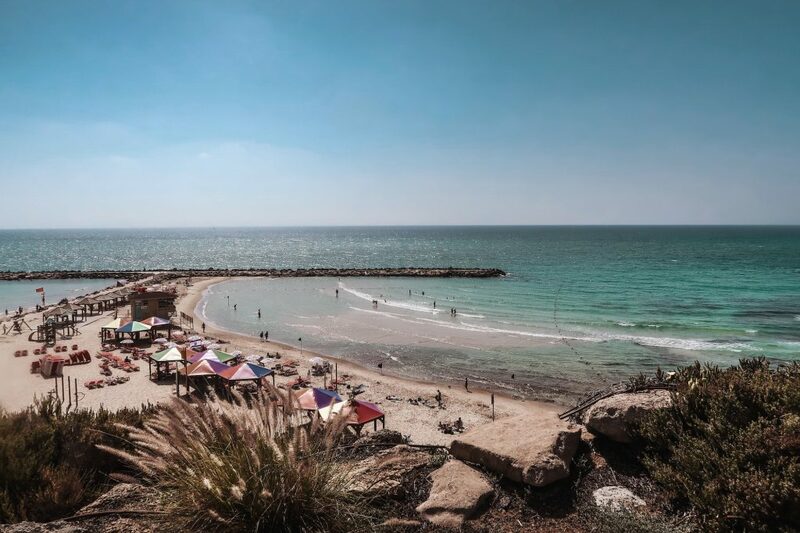 My genius travel blogger friends Nofar and Sahar – both long-term Tel Avivians – have developed the ultimate local Tel Aviv guide! It includes a 5-day itinerary, interactive map, money saving tips, public transport info, discount codes and the absolute MUST SEES of this beautiful city. I highly recommend it to anyone who is new to the city and wants a quick overview and detailed plans of everything they shouldn’t miss! 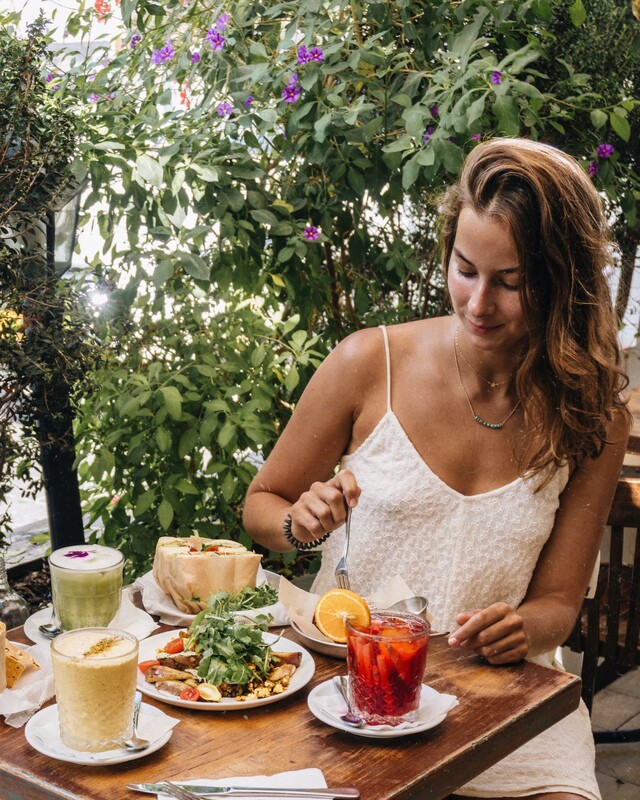 The guide is only $10 if you use the code ‘THETASTYK’ – this will safe you countless hours spent researching online and it entails all my favorite must-see places around TLV and Jaffa! 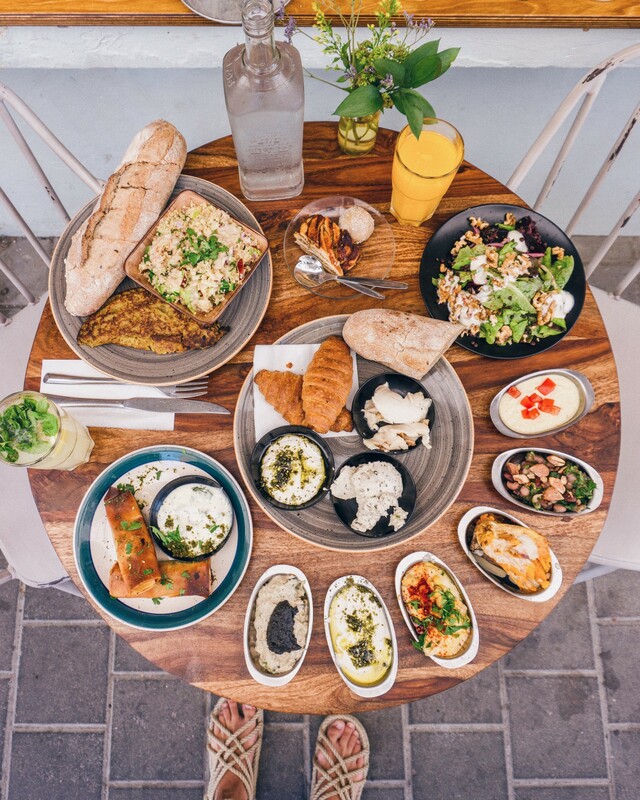 Click here to see The Ultimate Tel Aviv Guide! 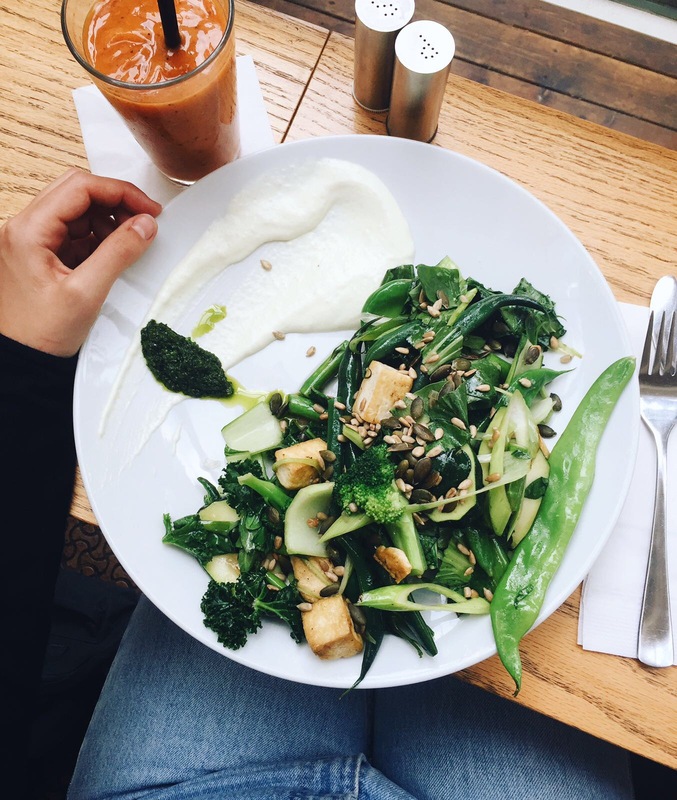 Below you’ll find a list of my favorite vegan dishes + restaurants. While I’m sure you can find some more places, these are my absolute favorites and well worth a visit! Of course I didn’t visit every restaurant that has a vegan option in the city, but I covered most of them! If you feel like I missed an essential one, let me know in the comments down below! Michelangelo is one of my favorite new breakfast places! 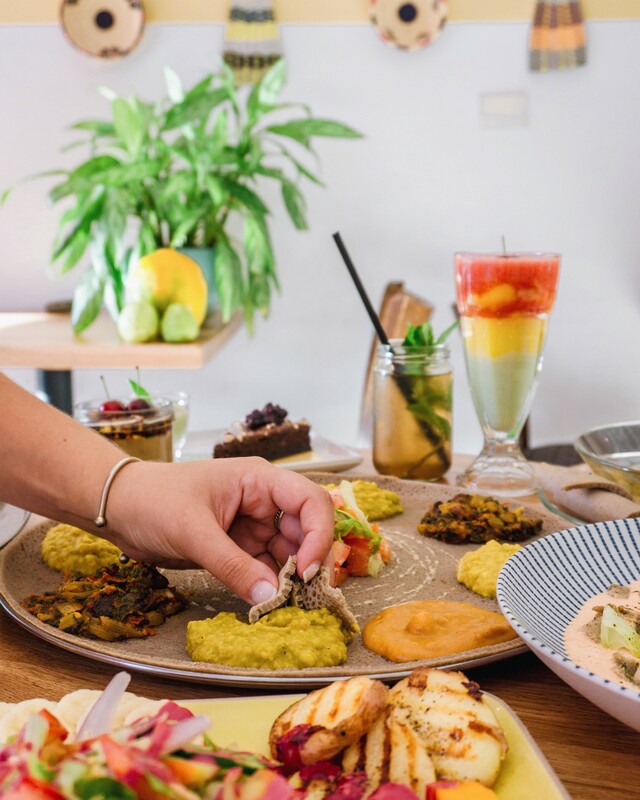 It is located in Jaffa and turned fully vegan a few months ago, when the owners decided to go vegan. Their breakfast sets are absolutely gorgeous and the quality of the food is just amazing. 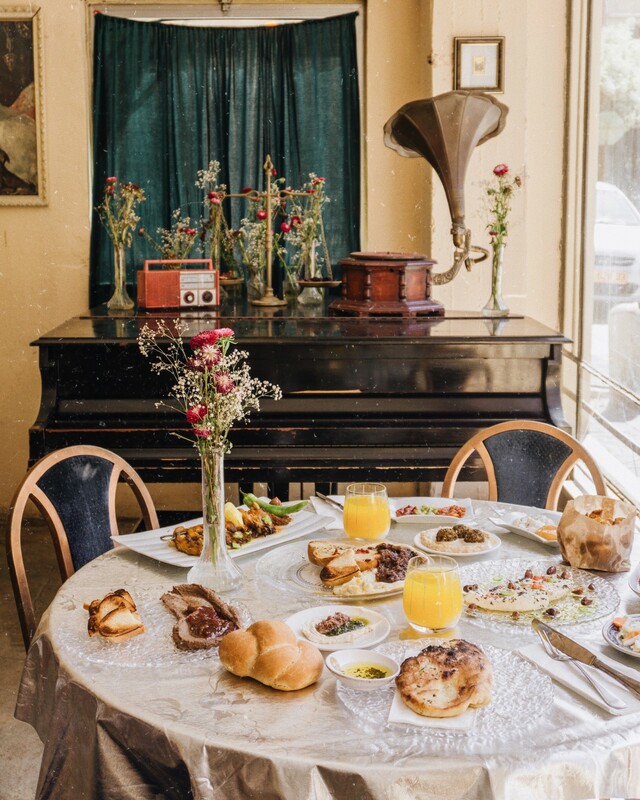 I’ve had the French breakfast, which comes with croissants and the main breakfast, which includes a variety of amazing spreads, from creamy homemade hummus, to baba ganoush, vegan labaneh, 2 different vegan cheeses (from the local brand Utopi – which is my favorite), baked sweet potato, and more. It also comes with an incredible quinoa omelette, which was simply divine and a bunch of side salads. I also recommend the spinach-filled cigars that come with vegan tzatziki and their homemade lemonade is super refreshing! UPDATE: unfortunately they changed their menu and stopped serving the Utopi cheeses and French breakfast with croissants which makes their breakfast options significantly less interesting! 🙁 It’s still good but before it was next level, which is a shame! 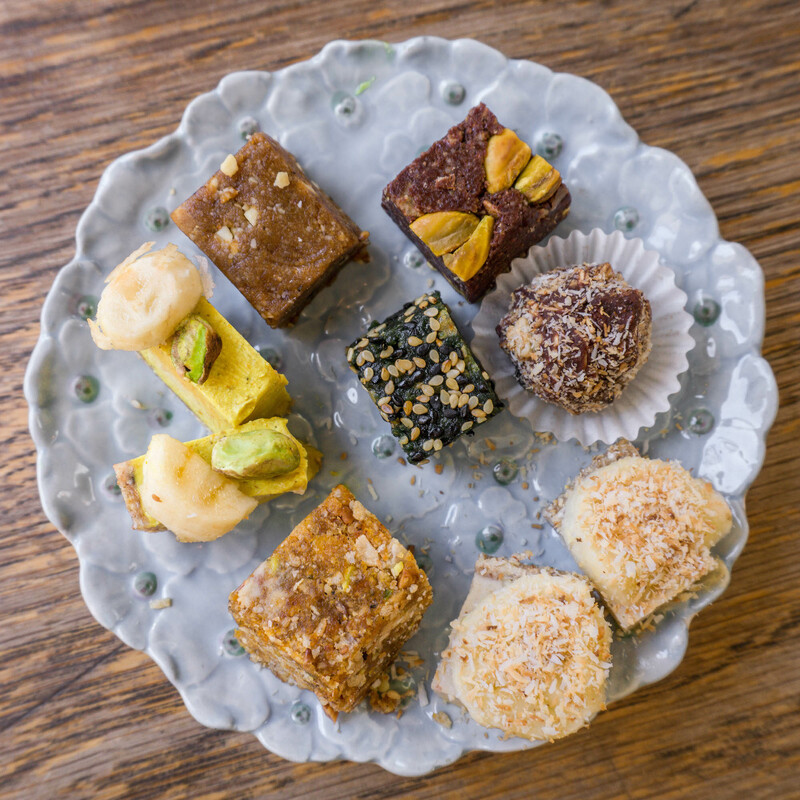 They even have some yummy baked goods like cinnamon and chocolate strudels, tahini bliss balls and more! Apart from the amazing food, Michelangelo also makes an effort to be as eco-friendly as possible which I highly appreciate! 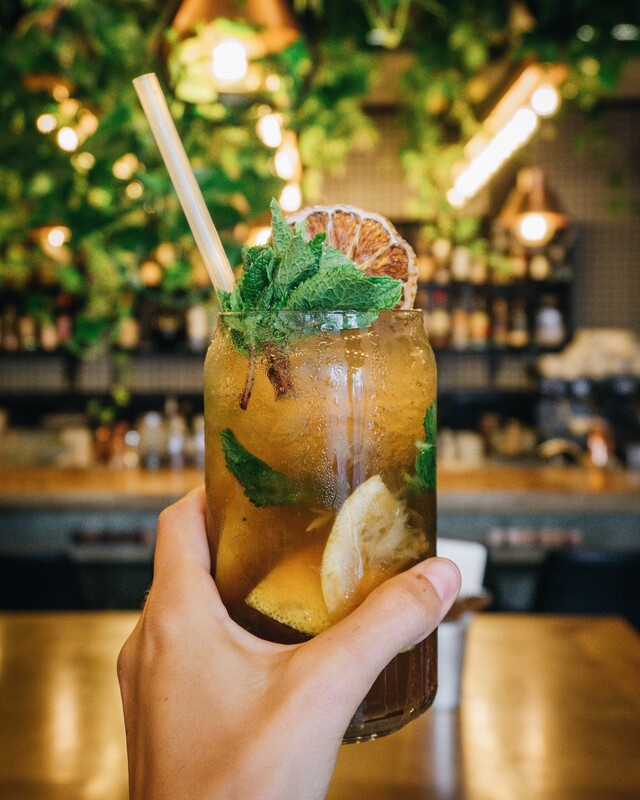 They serve their drinks without straws, collaborate with local brands, recently received the green sustainability tag from the Tel Aviv authorities and their inventory is made from recycled things which totally adds to the whole vibe of the place – how cool is that? Despite being located in Jaffa it’s actually not too far away as it’s pretty centrally located in Jaffa. It was about a 20 minute walk from Neve Tsedek in Tel Aviv which is a nice morning walk through a beautiful part of Tel Aviv. The place itself is located just in a side street off the main road but surprisingly it’s really peaceful and quiet there, so sitting outside it wonderful. Another breakfast gem inside the city is Cafe XoHo. This is a vegetarian place with many vegan options that has been around for 8 years already! 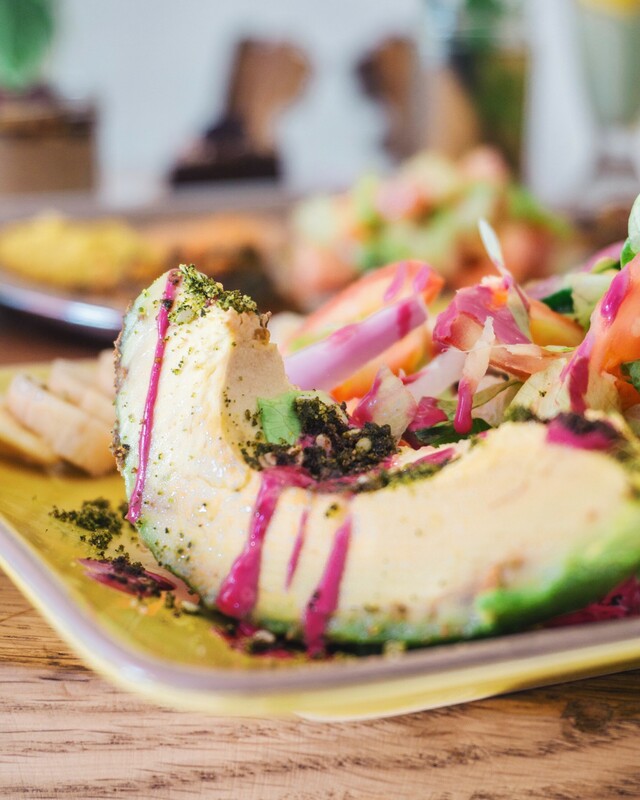 The owner Xoli succeeded to use her experience from the vegan/vegetarian scene in Australia to create a beautiful space that is incredibly welcoming and hip with gorgeous food for everyone to enjoy. 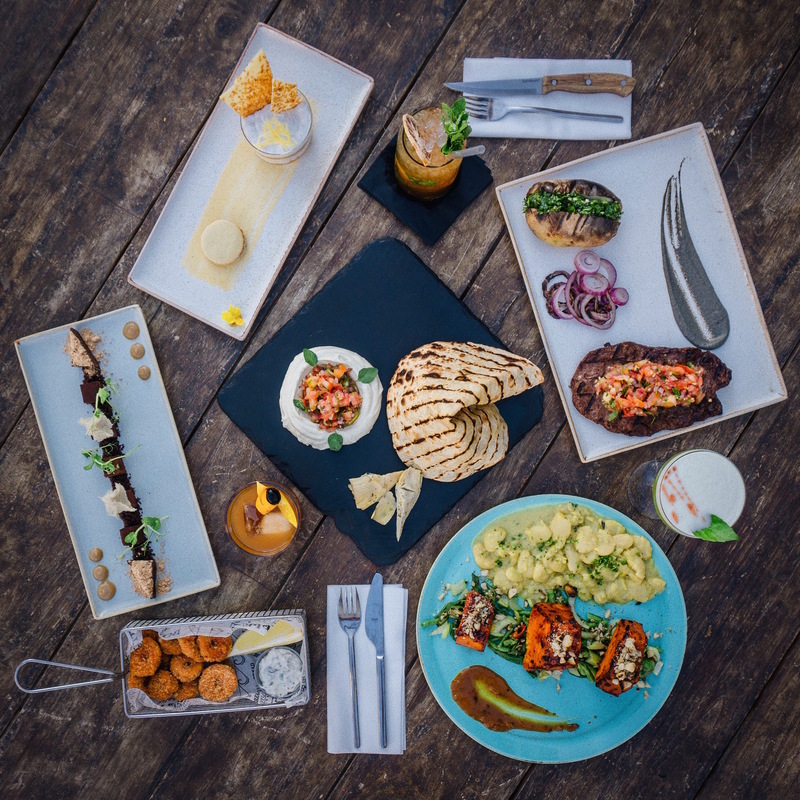 Almost everything you’ll eat here is homemade – from the bagel to the bread to the pastries and extremely yummy! Their vegan banana bread with salted butter on top is a gift from heaven and their signature dish – the beer bread – is unlike anything you’ll ever taste! So flavorful and delicious! Instead of having it served with cream cheese I got it topped with an herby tahini spread which was so good. I also highly recommend the turmeric smoothie with almond butter – which is super thick and creamy – just the way I like it! Best pizza in Tel Aviv. Basically I could stop here ’cause that says it all! 😀 But I give you some more background just to make you drool some more. It’s hard to explain how much I love this pizza, it’s just SO good. My non-vegan boyfriend who used to love pizza was completely sold on this one. I just wish they would have this pizza available in every city in every country in the world! 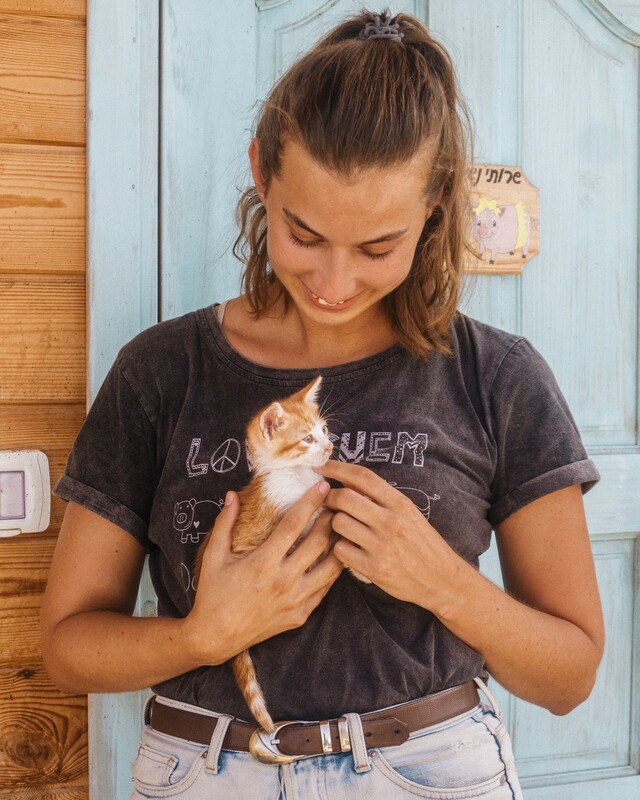 The Green Cat was the first vegan pizza place in Israel when it opened in 2014 and hasn’t disappointed since! The base is topped with homemade cashew cheese and if you’re feeling a little bit extra you can add a second soy cheese on top. I highly recommend the vegan pepperoni and the seitan crumble! 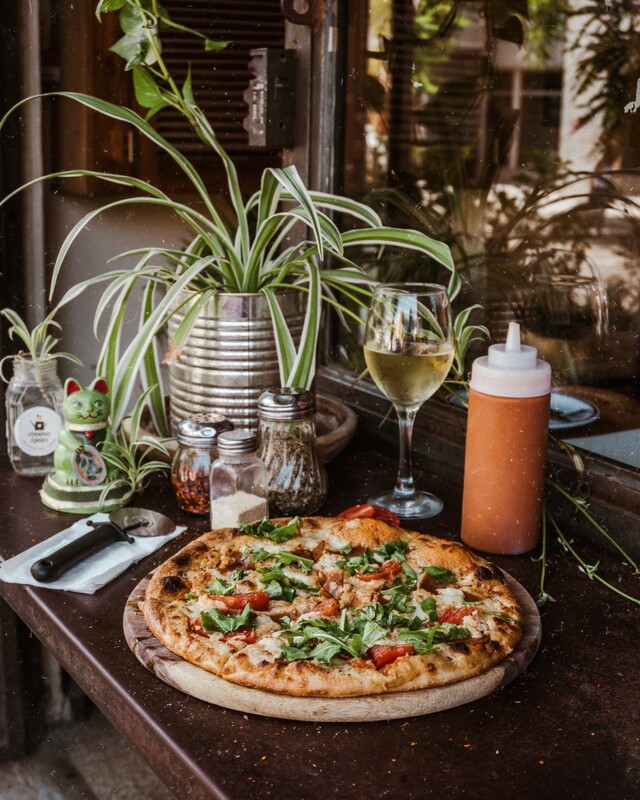 The Green Cat is located in between the hip neighborhood of Florentin and the Rothschild Boulevard and just next to it there’s a cool bar with live music, so you can even enjoy some good music while having your favorite pizza. If you come there in the later evening be prepared to wait a bit and be patient with the service, as it can get a bit messy sometimes but the quality of the pizza makes up for it! Even for non-vegans, this special pizzeria is known for serving up some of the best pizza you can get in Tel Aviv. 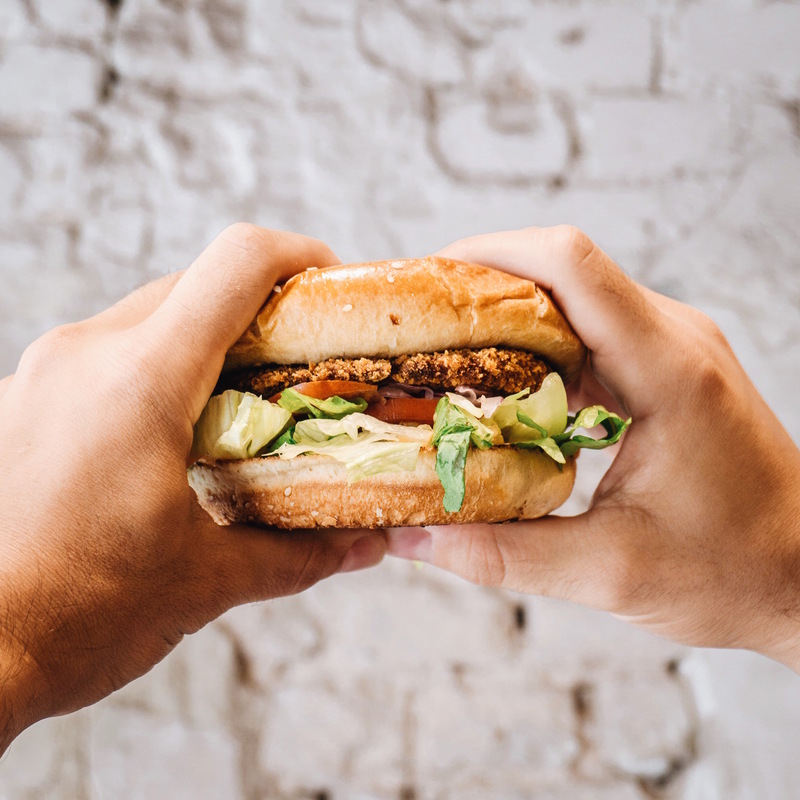 Best vegan burger in town! I mean just look at that deliciousness. 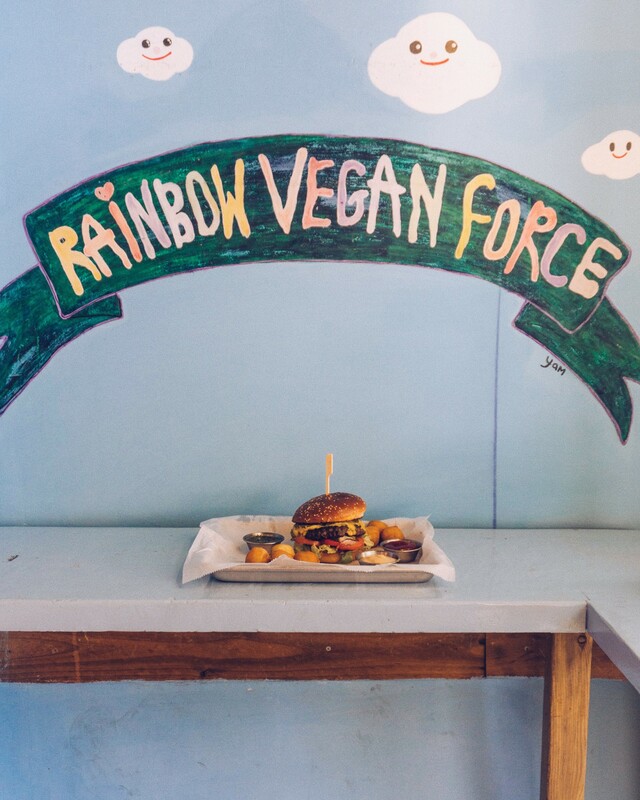 Rainbow is definitely far from your average veggie burger. 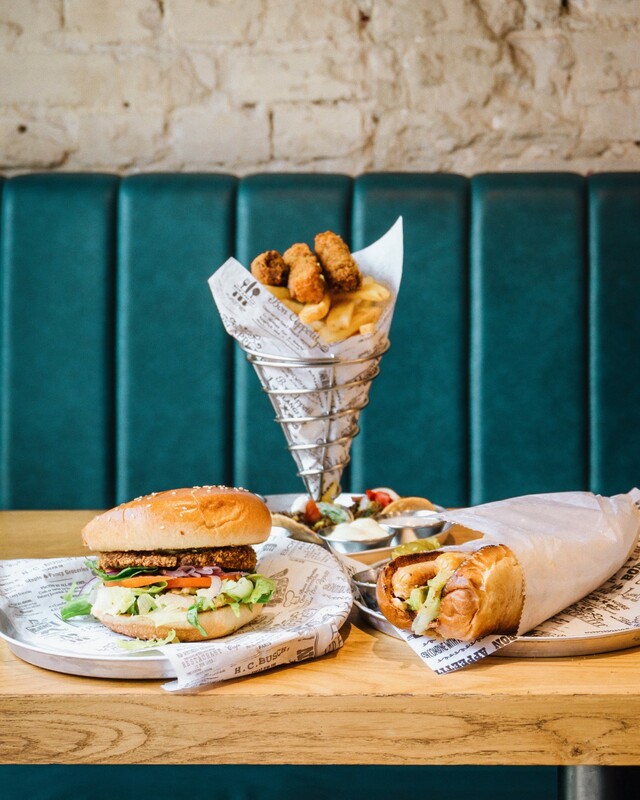 Vegans and non-vegans alike come to this burger gem to enjoy themselves a delicious meal. I’ve added cashew cheese and avocado to mine which made it even better and my favorite side were the fried mashed potato balls! I’m not quite sure how else to describe this burger – JUST TRY IT! 🙂 If you’re gluten-free you won’t be disappointed here either as they offer their delicious dishes with rice or salad instead of in a bun or pita. Awesomely enough the owners of this place also own The Green Cat! 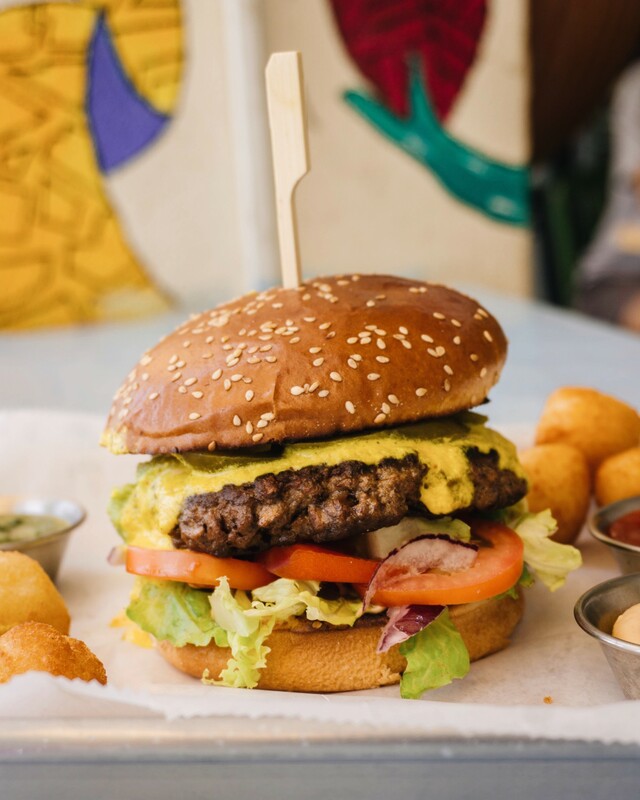 Best pizza and best burger in tow – what’s next? 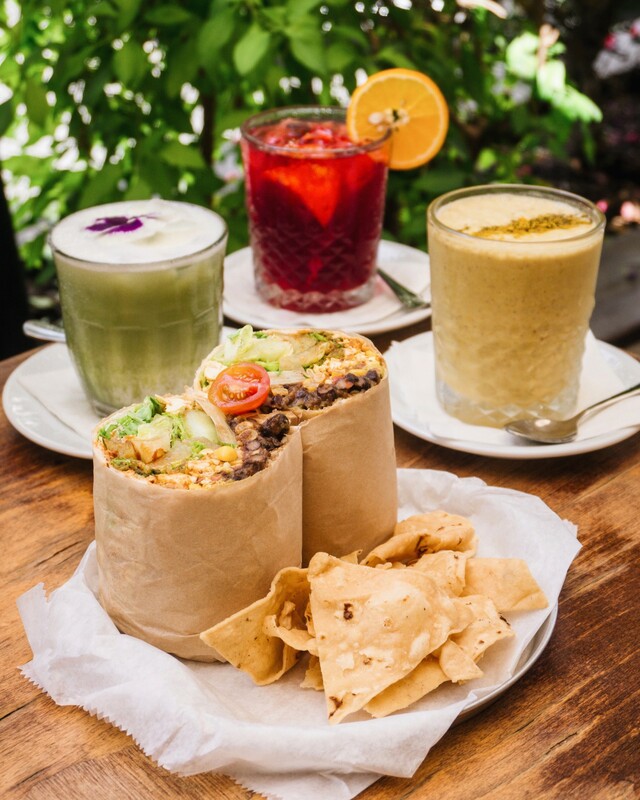 Right, best vegan shawarma? They’re opening their third vegan food location soon that’s going to serve authentic vegan shawarma and I can’t wait to try! I’ll make sure to add it to the list as soon as I do! As I just mentioned, there’s a new vegan shawarma place in town and it’s the BOMB! In fact it’s the only 100% vegan shawarma place in Tel Aviv (I think even Israel) right now and it’s worth the hype! I went there on my last trip in October 2018 and it’s just so incredibly tasty! 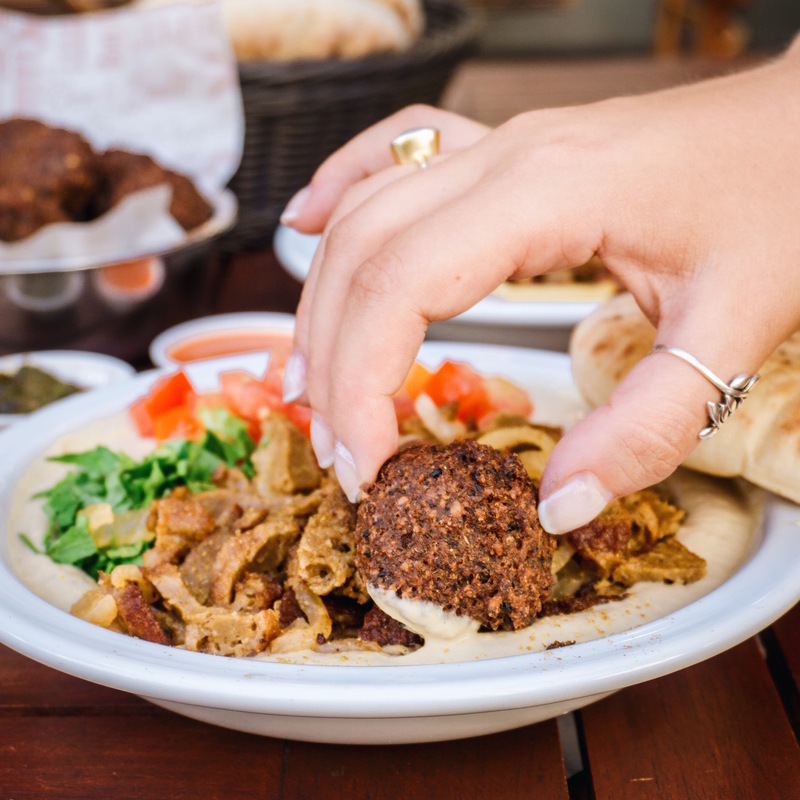 The shawarma itself is made from a combination of mushrooms and soy as well as Zakaim fries, kebabs, filled cigar pastries, vegan labaneh cheese and more. The best part about Sultana is that they’re open 24 hours (except for Shabbat) so you can get your fix whenever you want! 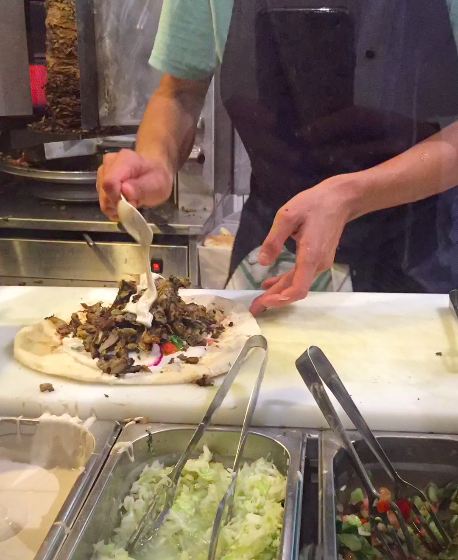 The geniuses behind Sultana even managed to make it look authentic by putting the shawarma on a rotating stick (just like a döner). Plus, it’s actually very smart, they don’t advertise it as vegan. 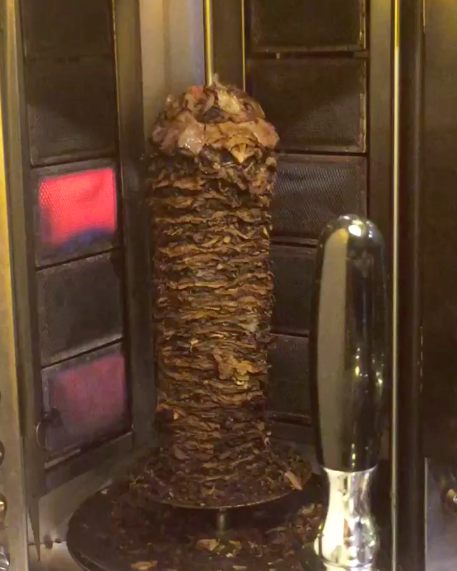 You won’t see any signs that this is vegan shawarma (unless you really look), so part of the people eating there probably think it’s just normal meat they’re eating! 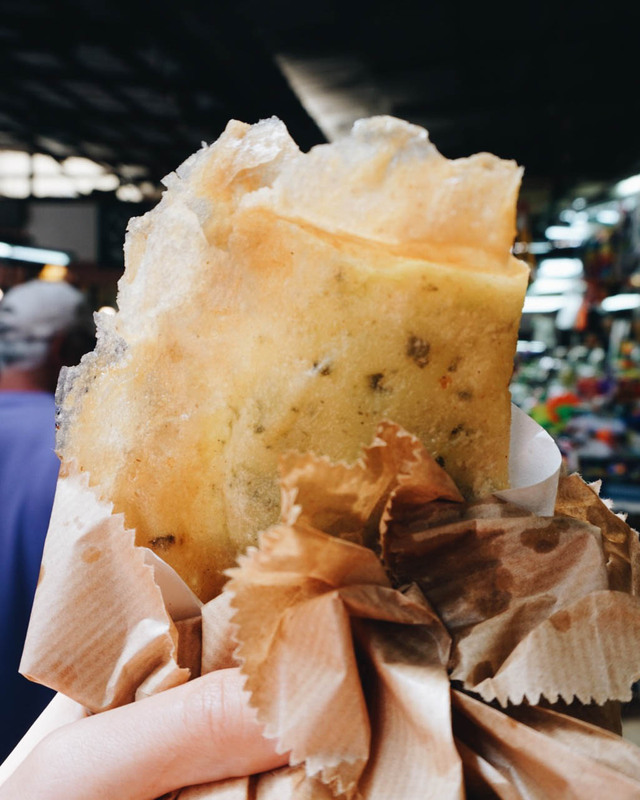 You can choose between a big laffa bread (like in the picture) or a normal pita bread and choose from a variety of special sauces like amba (some sort of Indian inspired mango sauce), tahini, etc. 🙂 The prices for the shawarma are decent: 35 shekels for a shawarma or kebab in a pita; 12 shekels for a mushroom-filled cigar; 17 shekels for fries. In comparison – a ‘normal’ shawarma in Tel Aviv would cost 28 shekels on the cheap end and 35 on the expensive end, so I’m happy they managed to keep the price comparable and affordable to the masses. 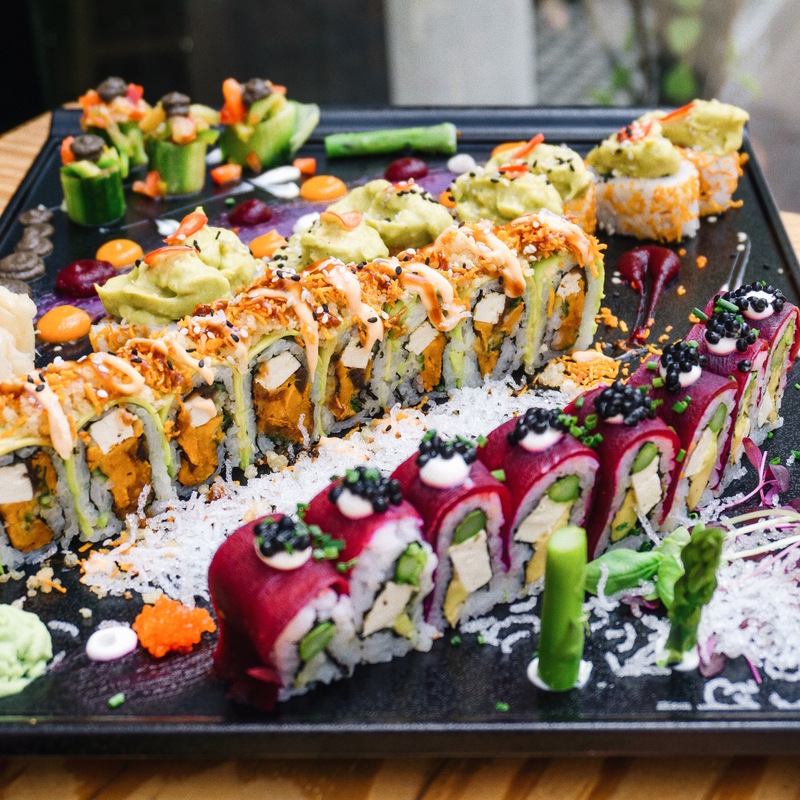 Green Roll Sushi is the only fully plant-based sushi in Tel Aviv and it exceeded any expectations that I had! 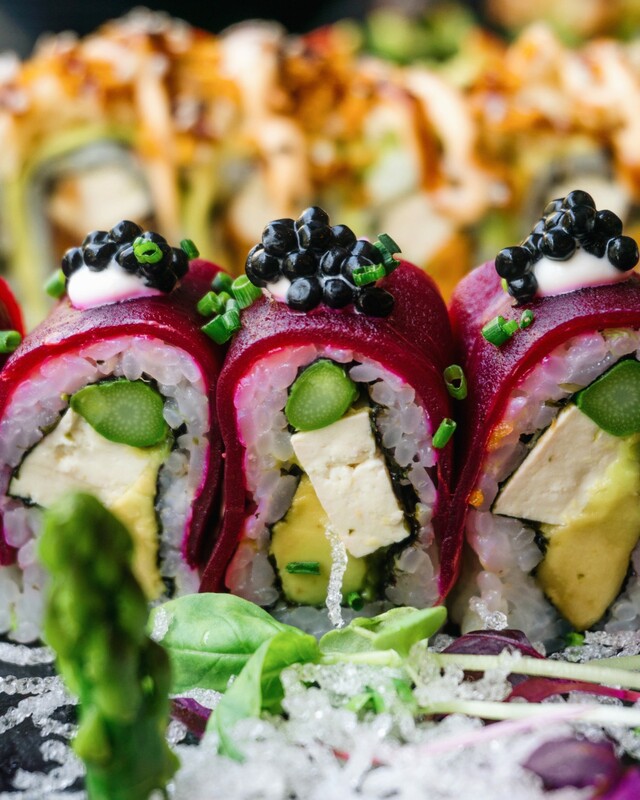 It’s simply sushi art at its finest! The sushi creator Ibrahim is like a magician who pulls a new crazy invention out of his hat every single day! 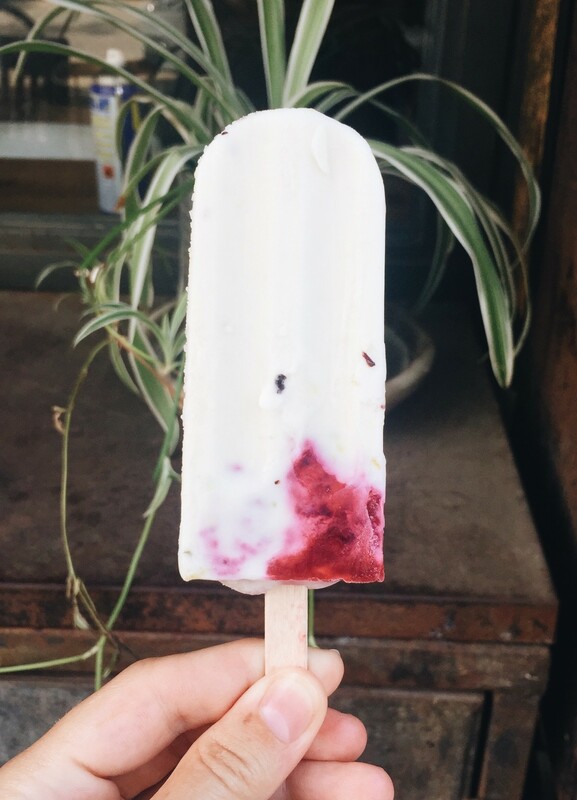 It’s so pretty and tasty you’ll have to try it. They have super interesting signature sauces and dips which they invent right there on the spot and the way they use vegetables to create shapes and flavors even leaves me (as a 3 year old vegan who’s travelled a lot) speechless! They even create plant-based caviar that is all natural and made from algae – say what? Looks and tastes so legit it’s crazy! 🙂 Just thinking about the flavors now makes me drool so make sure you check them out for an amazing sushi experience! 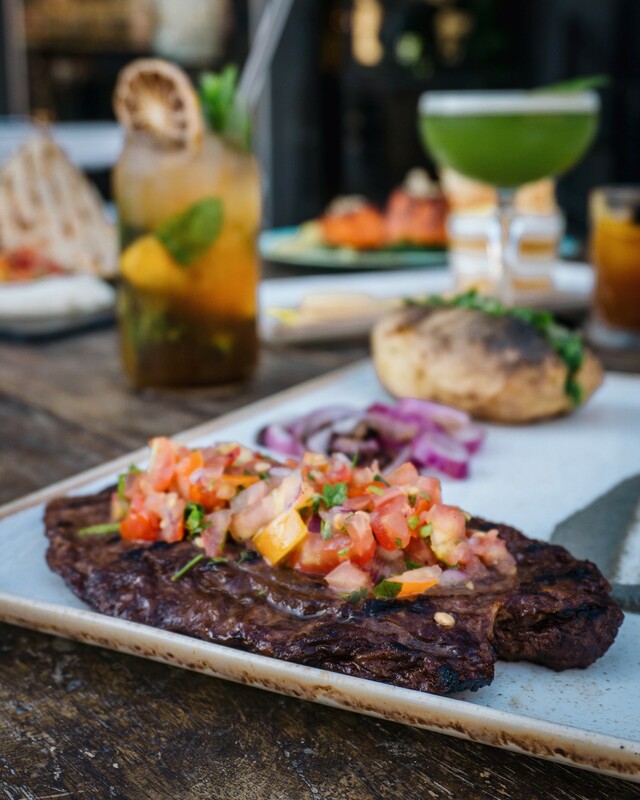 There are a few must-tries here and the vegan steak is definitely one of them! Apart from knowing that it’s made of seitan I have absolutely no idea how they manage to make this beautiful piece of magic – but for now it’ll suffice just devouring it! I haven’t eaten meat in a lot of years so I might be biased, but my boyfriend was completely blown away to say the least. It’s that good! The texture is extremely on point and it just tastes amazing! They serve it in different versions, steak in a pan, steak salad, etc. and they’re all amazing! Apart from the labaneh, their fried calamari is also pretty great and make sure to leave some space for dessert – it’s worth it! 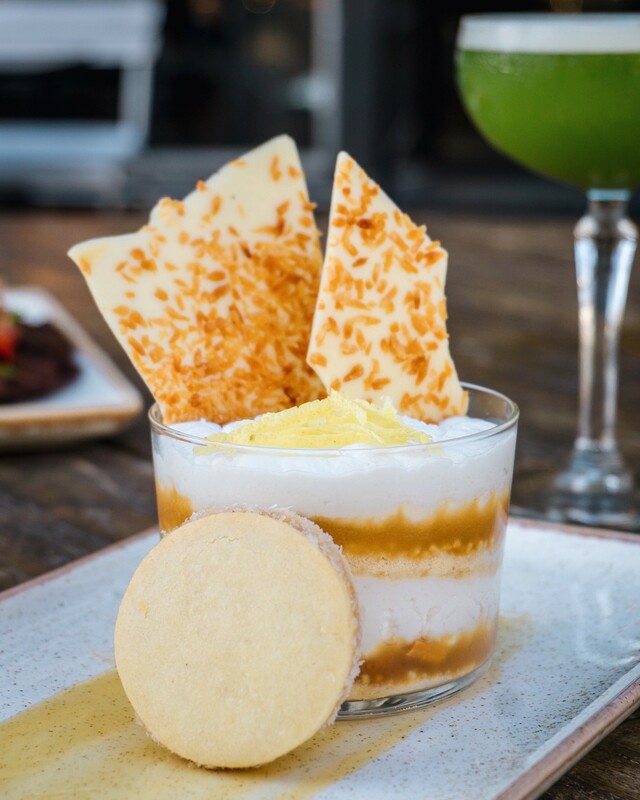 I don’t know how they make it but they managed to create the perfect vegan alfajores parfait. 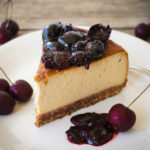 It’s creamy, it’s rich, it’s sweet, it’s decadent, it’s perfection! Best to share with a few people – or not! 🙂 And if we are already talking about desserts, I also highly recommend their chocolate truffle thingy! 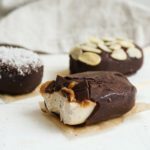 It has different flavors (nutella, peanut butter, mint) and it’s every chocolate lover’s dream come true! They crumble this delicious halva on top that I absolutely LOVED (which is weird because I usually don’t really like it). Just tasted like tahini cotton candy and I want to bathe in it. To keep that healthy balance, let’s move back to vegan junk food. Goodness is your fix for that! 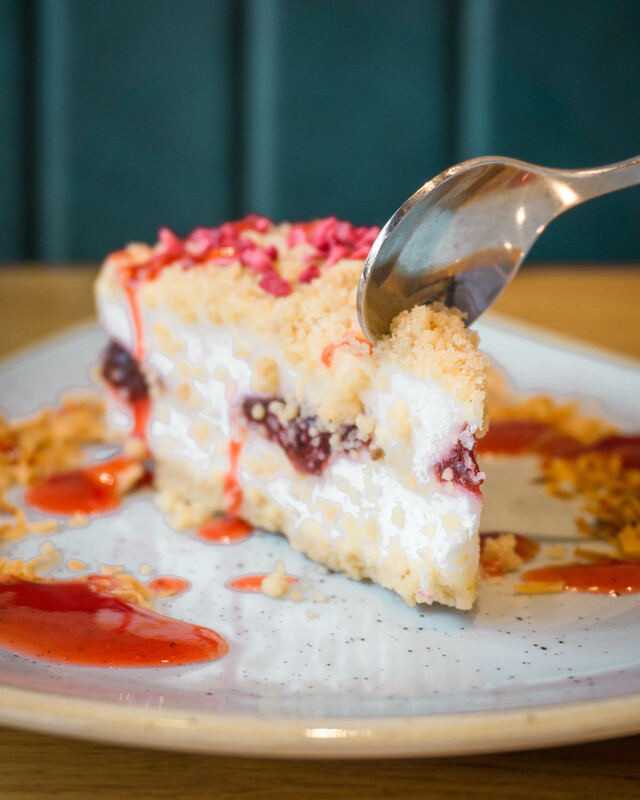 Whether you’re looking for sloppy joes, fish and chips, hot dogs, or decadent cheesecake – Goodness got you covered! My personal favorite was the schnitzel burger! They’re sauces are really good and if you can leave some space for dessert(s), do so! 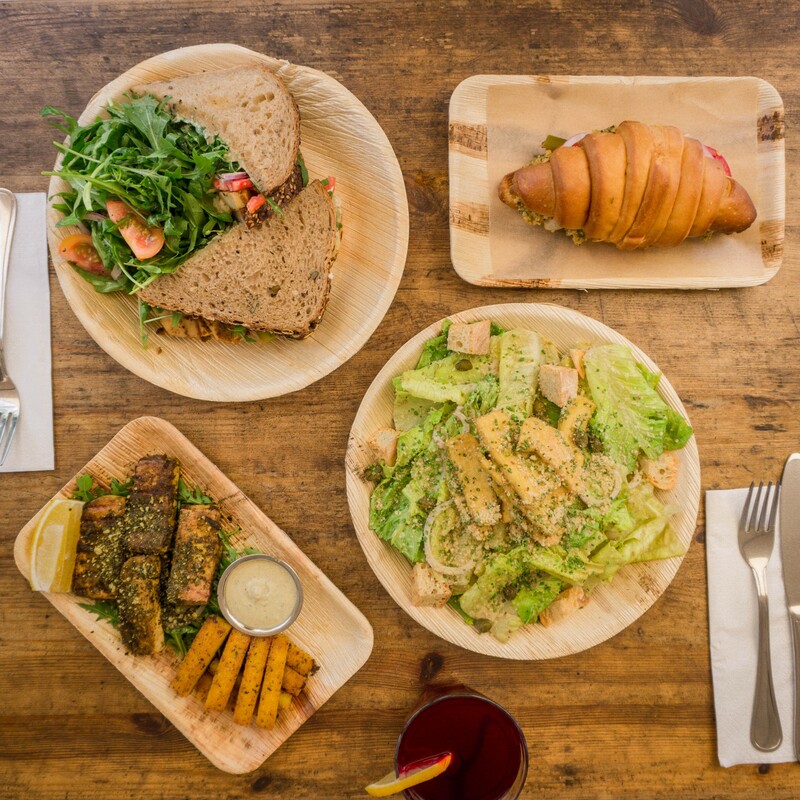 Anastasia is somewhat of a front runner in the vegan scene in Tel Aviv. 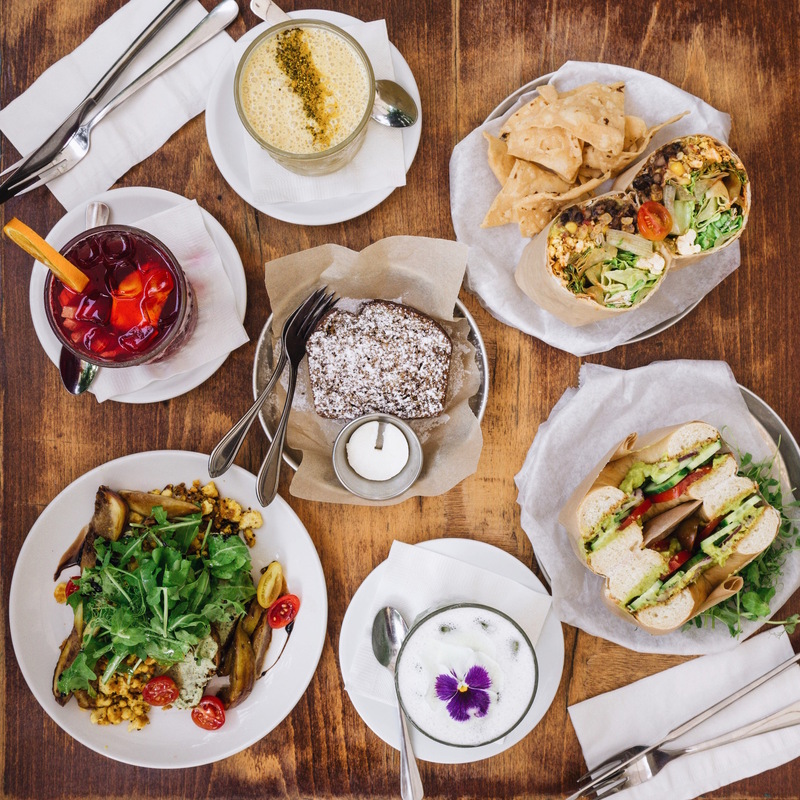 It was the very first completely vegan cafe in Israel and has been around for 4 years already! It’s the perfect place to meet friends or come alone for a chill and delicious working session. 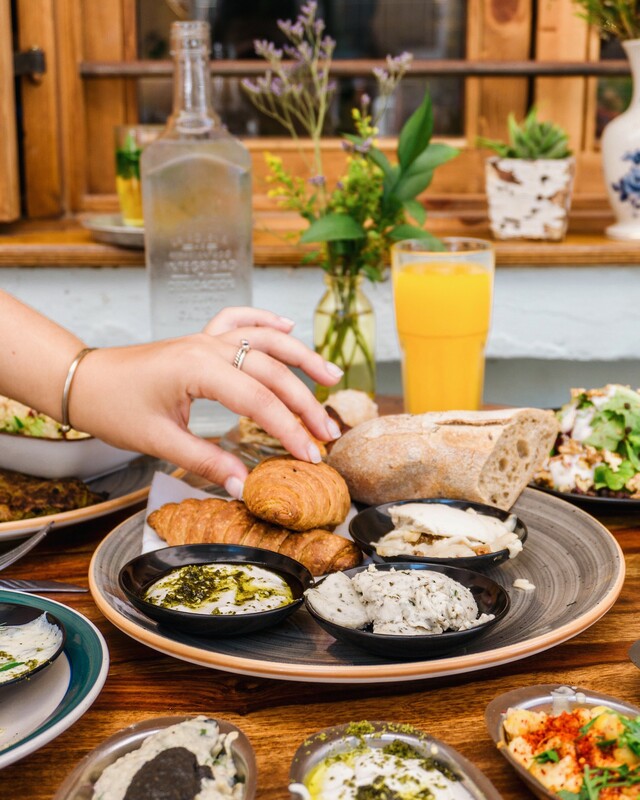 Their shakshuka is one of the if not THE best one in town and they’re very well know for their awesome breakfast spreads, cheeze platter, and fresh, high-quality ingredients. 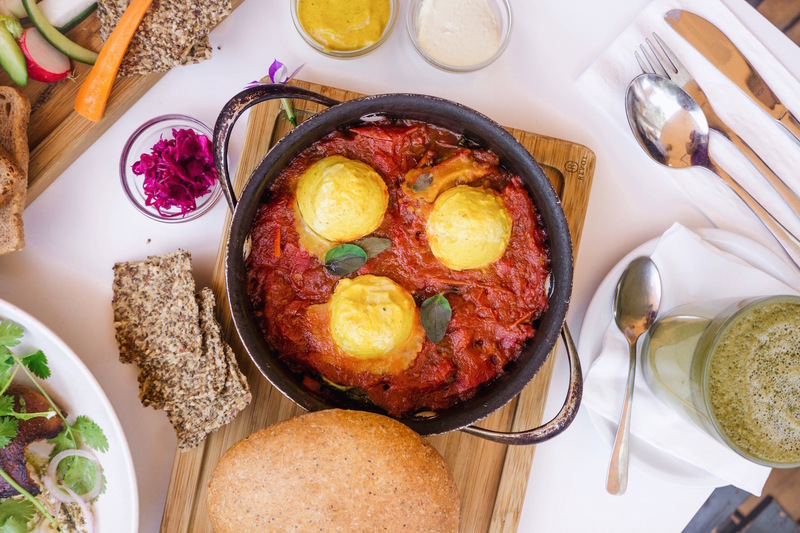 They’re very well known by Tel Avivis and frequented by locals and tourists alike and try to be welcoming to everyone, vegans and non-vegans alike! 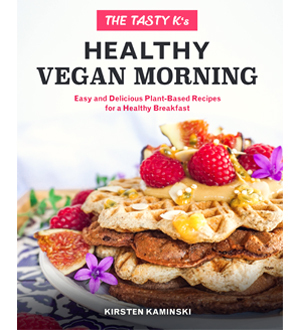 Most importantly, despite being a trendy hotspot, they’re standing very much behind the vegan message and on top of that are super LGTB friendly! I actually used to live just next to Anastasia for about a month back in 2015 and was a frequent visitor every other day myself (that was before the days of this blog)! 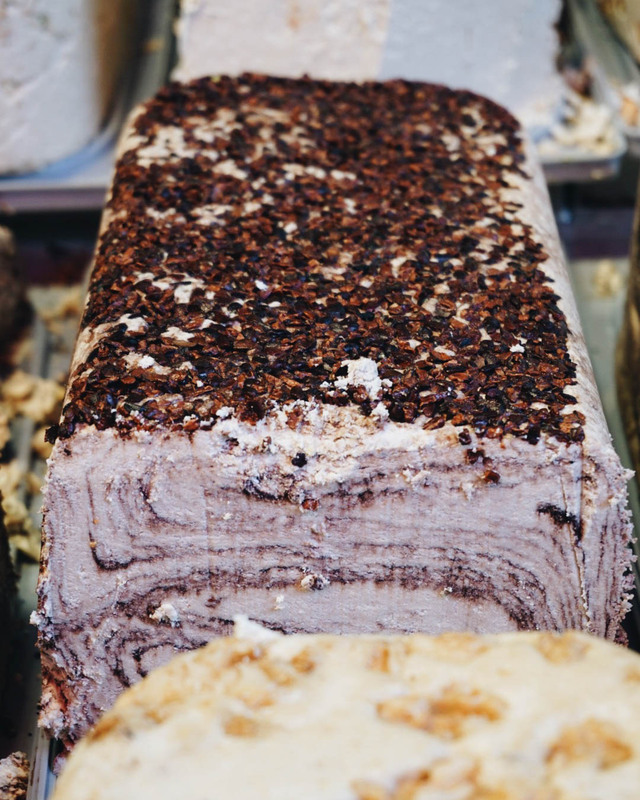 Apart from the shakshuka, a few of my favorite dishes include the soba noodle salad, the tofu + steamed greens plate and, of course, the tiramisu! I tried the Lakshmi thali which came with tofu and zucchini fritters, sweet potato masala and yummy onion uttapam, and the Maharajah thali, which came with 8 different kinds of curries, basmati rice and uttapam! I was also lucky enough to try the mango and sweet lassis from their new lassi & sweets cafe opening next door (should be open by now)! Super healthy, on a cashew basis and full of good vegan probiotics. 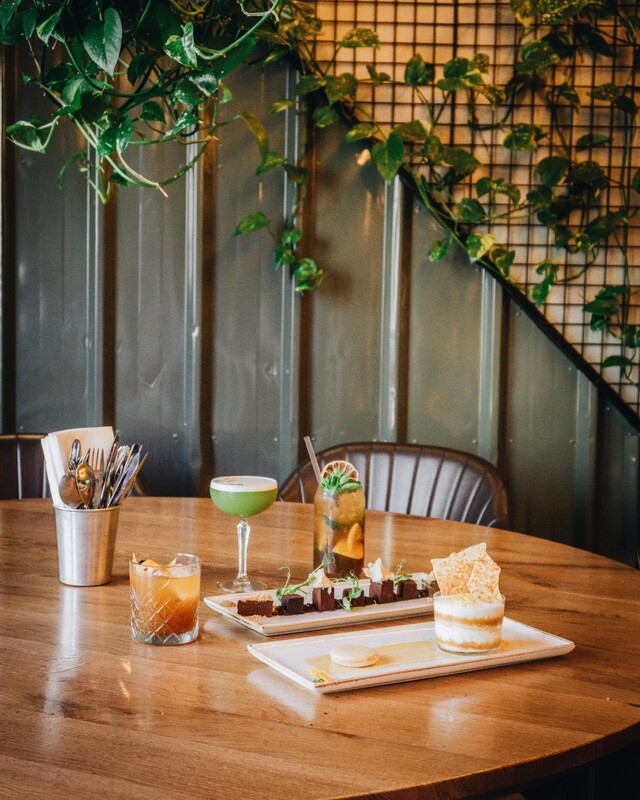 Big thumbs up for going eco-friendly and serving bio-degradable straws made from corn (that look and feel like the real deal btw) and opting for recycled paper takeaway boxes! 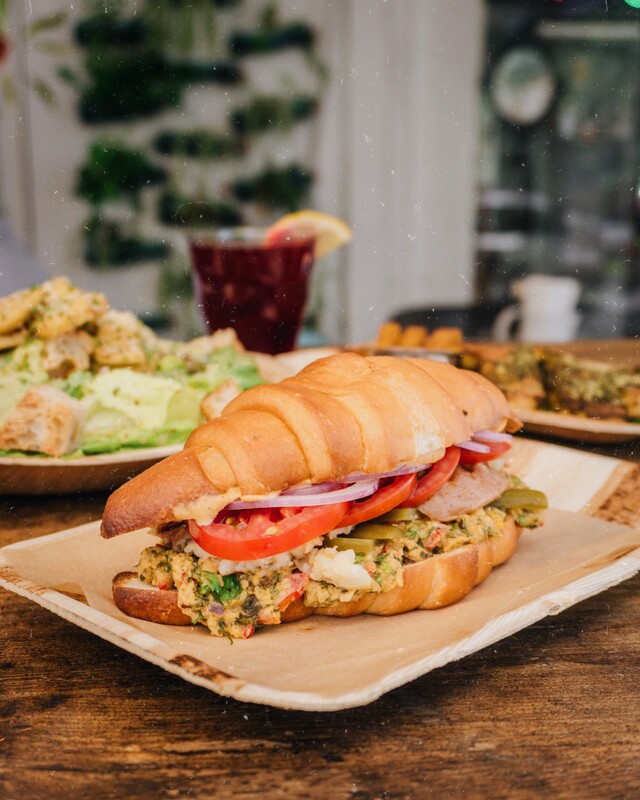 Owned by the same people as Dosa Bar, Alegria started off as a vegan deli but soon became a beautiful place of vegan foodie goodness! Although it’s located slightly out of the way in the north of Tel Aviv it’s definitely worth a visit! 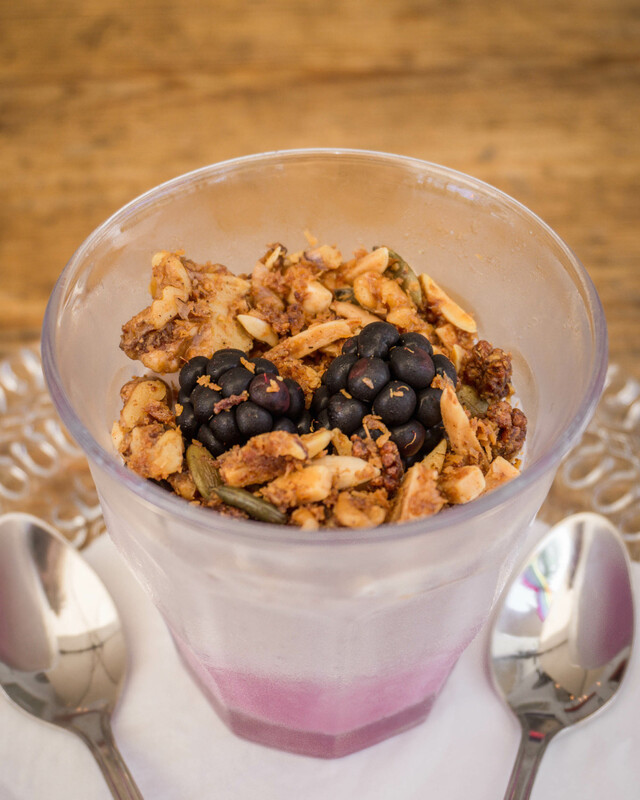 They have a really good menu offering everything you could wish for in a great breakfast or lunch! Their Caesar salad with crispy tofu was mind-blowing (yes, I say that about a salad because it was THAT good), and I absolutely loved their tofu fish and polenta fries and delicious probiotic cashew granola parfait with berries! Let’s stay with surprisingly great food and talk about Tenat! If there was one culinary experience during my Tel Aviv visits that stuck to my mind it was definitely Tenat. I’ve never tried Ethiopian food before so I didn’t know what to expect but man – have I missed out! First of all I was welcomed with open arms by the owner Yitzhak and his wife, who are the cutest, and most warm-hearted people ever, making this food experience so much better! Now, let’s talk food! 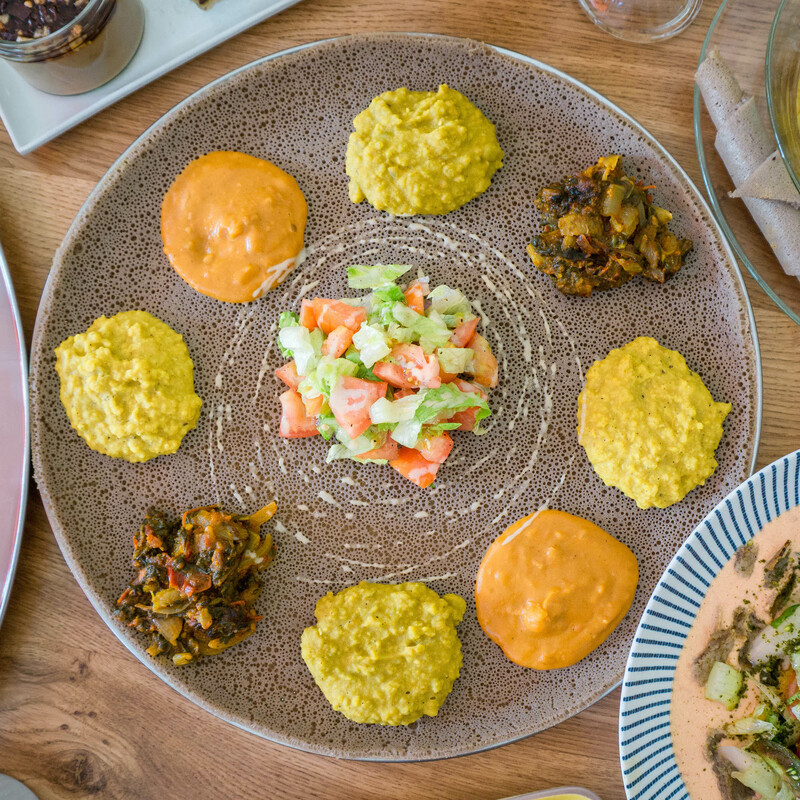 This South Tel Avivian foodie gem offers an amazing array of the best homemade vegan and authentic Ethiopian food in Tel Aviv. 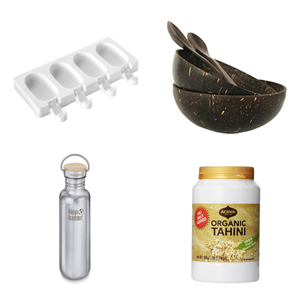 Apparently teff is THE staple grain in Ethiopia so naturally tons of dishes are made with it. 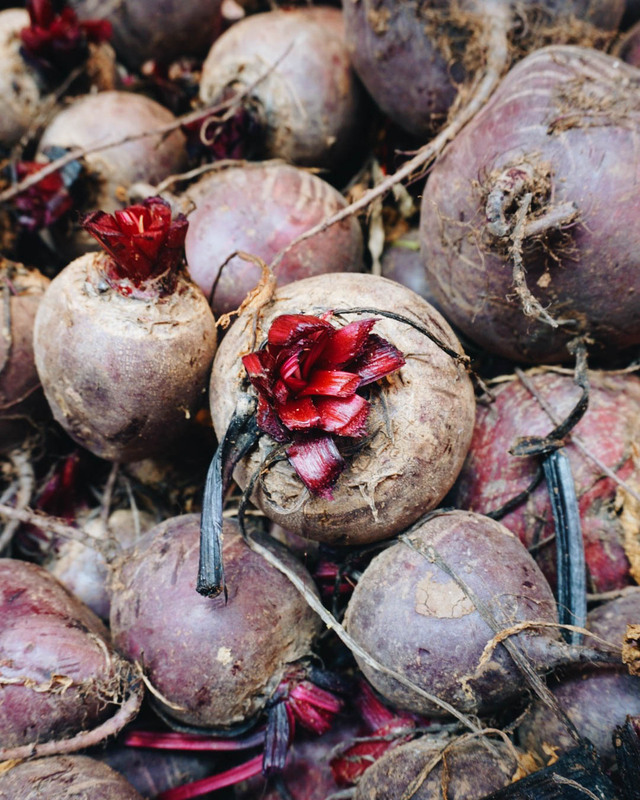 It’s been consumed in Ethiopia for thousands of years and only recently gained followers as an amazing superfood in the West. The delicious Ethiopian signature bread injera is made from teff and it’s unlike anything I’ve ever tasted before. It comes in the shape of a huge fluffy pancake and taste very nutty and tangy due to the fermentation process. 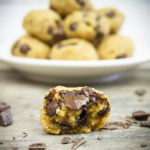 It is naturally gluten-free and can be used in both savory and sweet dishes! Injera is served with salads, stews and soups and I’m legit obsessed! Interestingly enough, in order not to repeat the same mistakes of some South American countries with quinoa, Ethiopia stopped the export of teff to keep prices low for the locals. But guess what, Israel is the only country that the precious teff grain is exported to at relatively low prices! Now that we have established that you have to try teff and injera asap, let’s dig some more into Tenat and its beautiful food options! The food is very cheap at Tenat and the quality and experience unbeatable! I’ve tried almost the whole menu and can highly recommend the fava beans, kita fitfit (salad style dish including pieces of pan-cooked injera, vegan butter made from sunflower seeds, raw tahini and tomato sauce + some amazing spices), addis salata (super fresh morning salad with avocado, papaya, cooked potato and banana – super interesting combination), bayanetu (injera served with many different stews, veggies and lentils), and ingoodie tibs (folded injera with tomato sauce and delicious mushrooms on top). 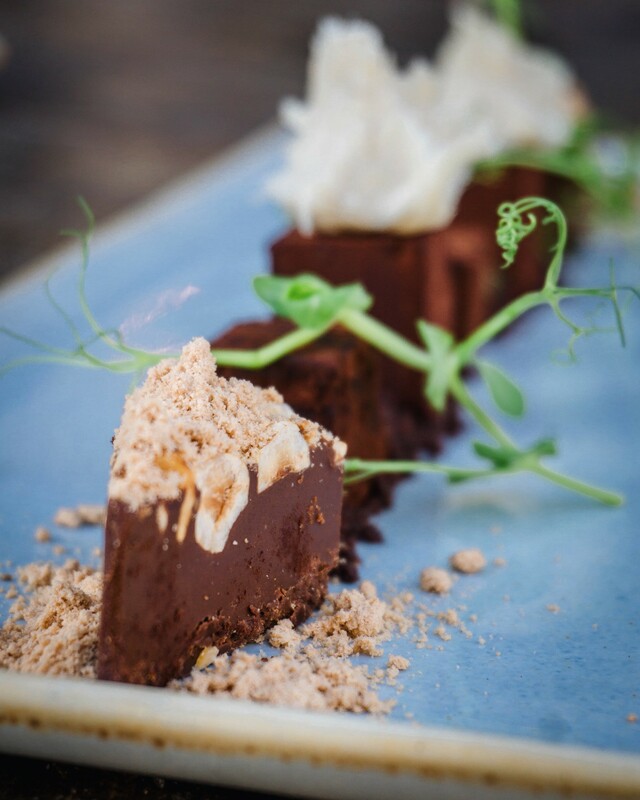 As for desserts, make sure to try the teff delicacy (tastes like a sweet rice-pudding style dessert) and chocolate brownies! Also you MUST try the Ethiopian tea which was full of delicious spices like cinnamon and cloves and ask for the rainbow smoothie made from guava, mango and watermelon (it’s not on the menu but it was the most refreshing drink I’ve ever had). 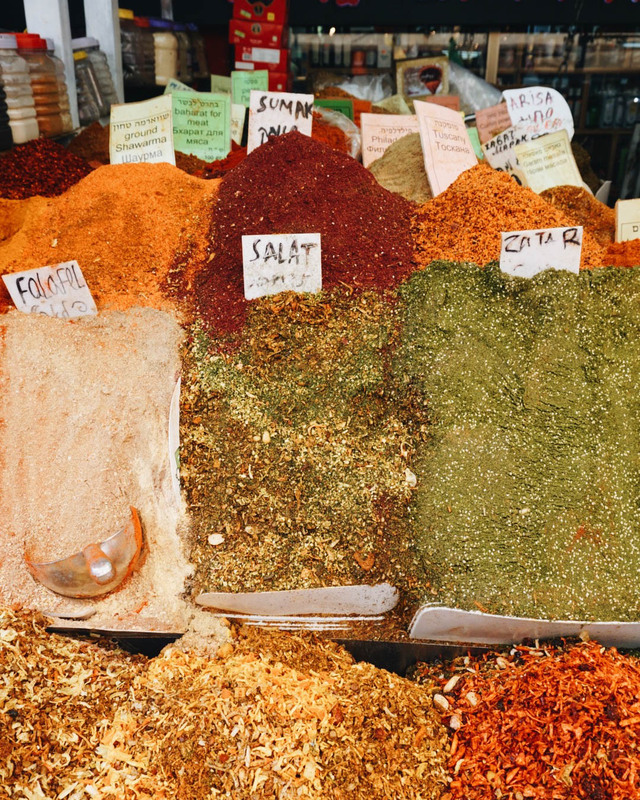 One of the many reasons to try new foods is exactly this: to learn about other cultures! 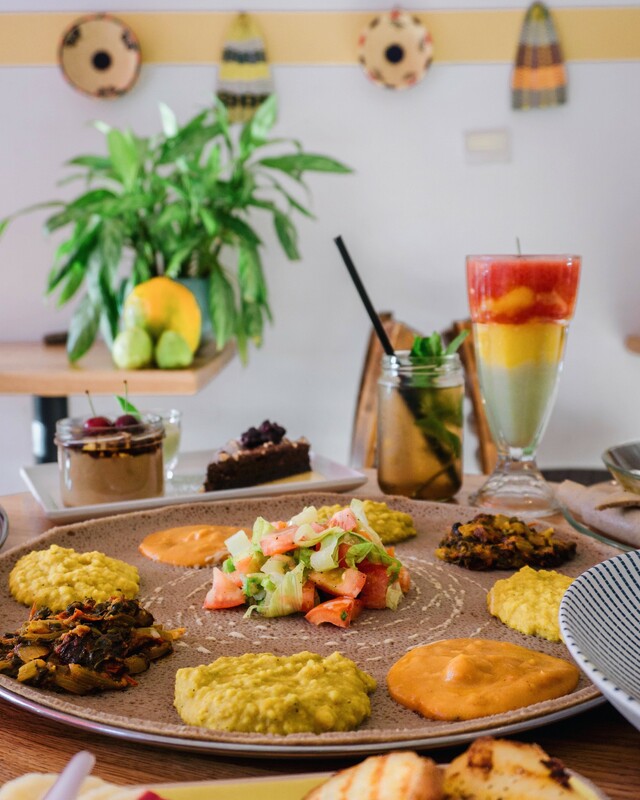 Ethiopia wasn’t even close to being on my radar before this culinary experience, but after this I’m so intrigued to visit and try everything vegan they have to offer! 🙂 Definitely a MUST VISIT when in Tel Aviv! Shuffle Bar is a fun little place to hang out in Florentin! 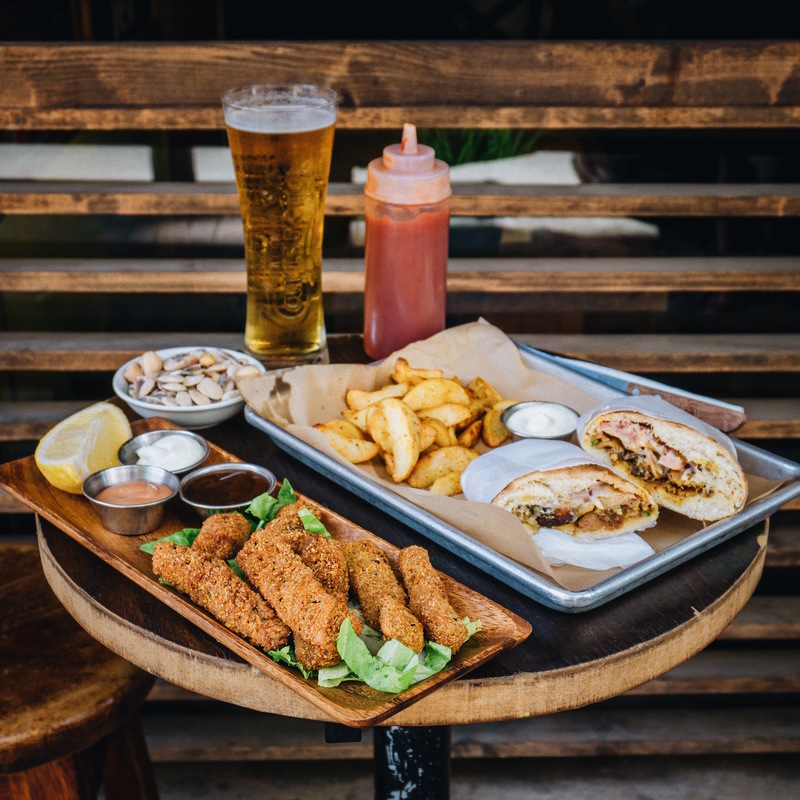 They offer an array of vegan dishes including seitan nuggets, vegan schnitzel and shawarma sandwich that are very yummy! Most importantly though, they’re the only place in Tel Aviv (apart from one place in Jaffa) that serves vegan knafeh. 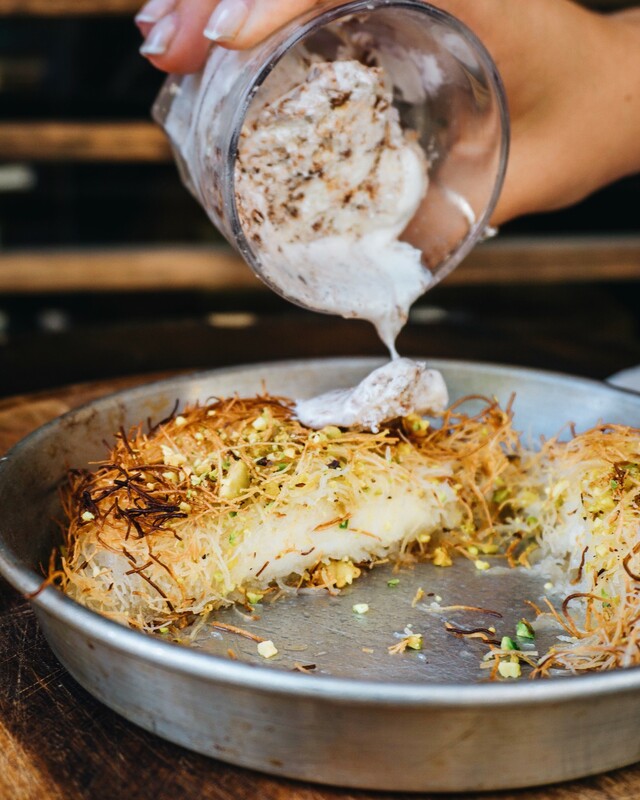 If you don’t know what knafeh (or künefe) is – well you’re missing out that’s for sure! 😀 It’s an Arabic traditional dessert made with thin shredded phyllo pastry, soaked in sweet sugar syrup and filled with sweet cheese. 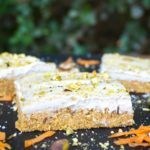 I used to love it before becoming vegan and haven’t had it since I finally found a delicious vegan version at Shuffle Bar! 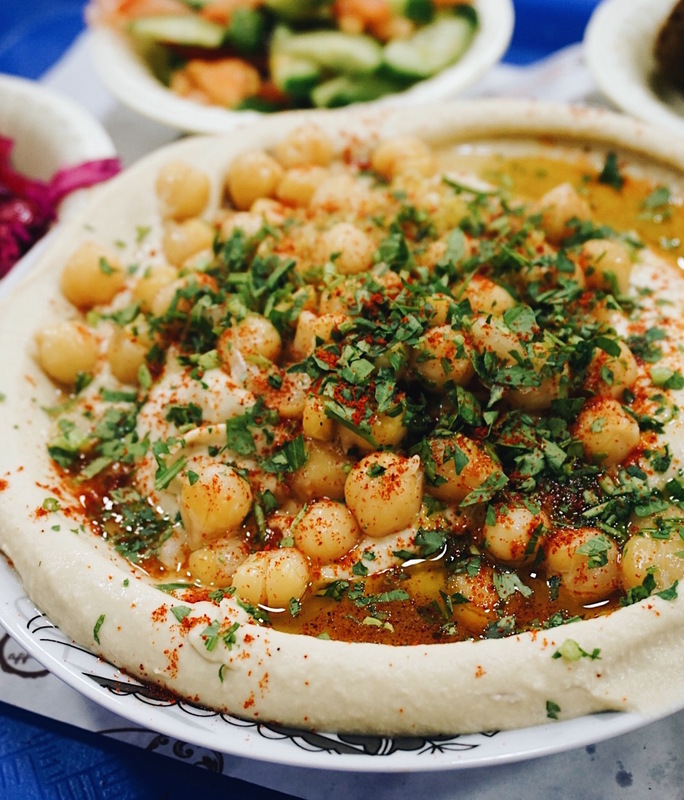 Abu Hassan is said to have the best hummus in Tel Aviv. 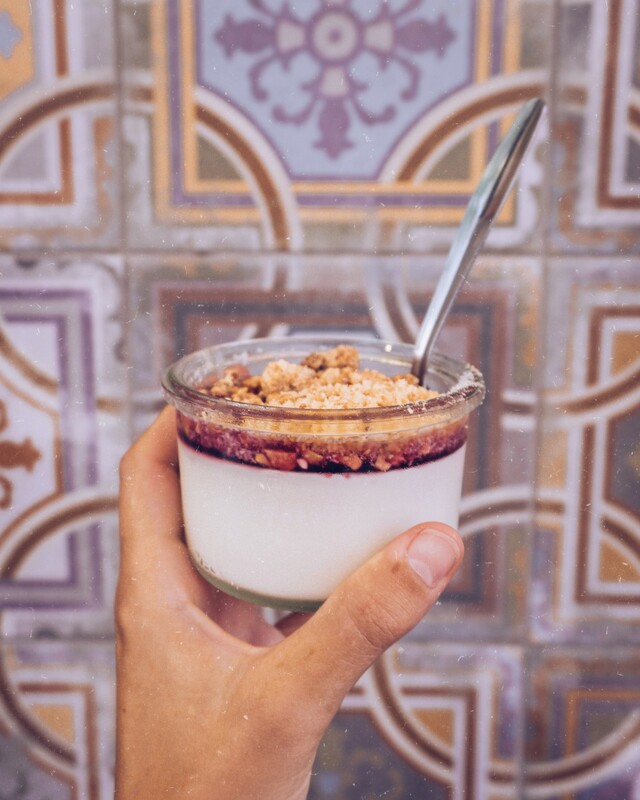 They have 2 branches in Jaffa and are very famous and always full, so naturally you should try them when you’re around! Apart from that I just recently discovered a new dimension of hummus I hadn’t thought of before. Hummus topped with vegan shawarma. Ehhmmmm yeah, you heard that right! 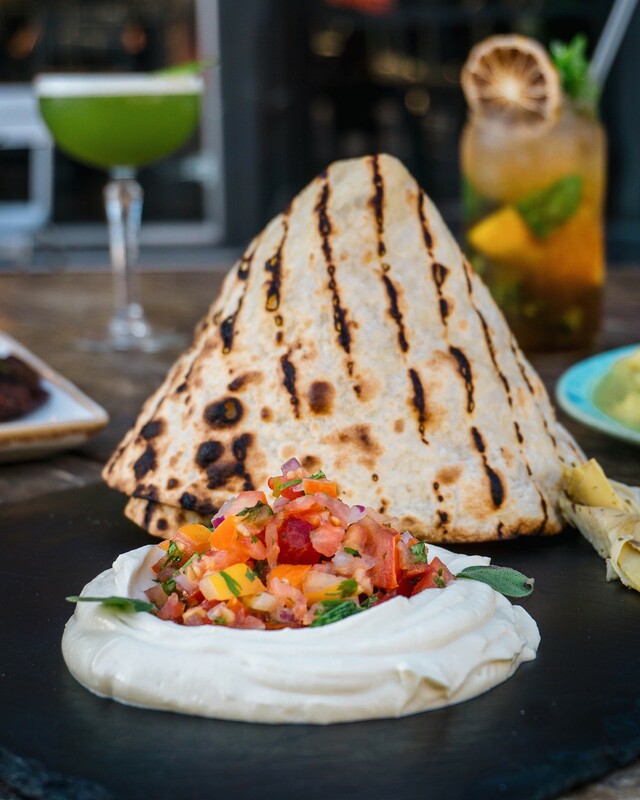 Apparently there are a few places around Tel Aviv that serve it with vegan shawarma but according to my friend Rachelle these two are the best: Hummusim and Levinsky 41! I’ve only tried Hummusim, and it was sooooooo good! I just want a bathtub full of this stuff! 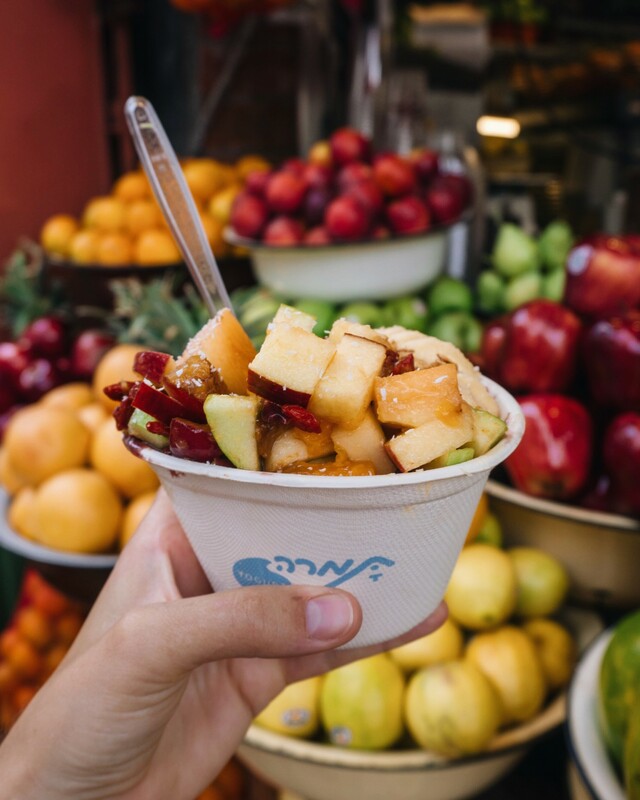 🙂 Enough drooling though, this is essential to an authentic Tel Aviv experience so you better try it! 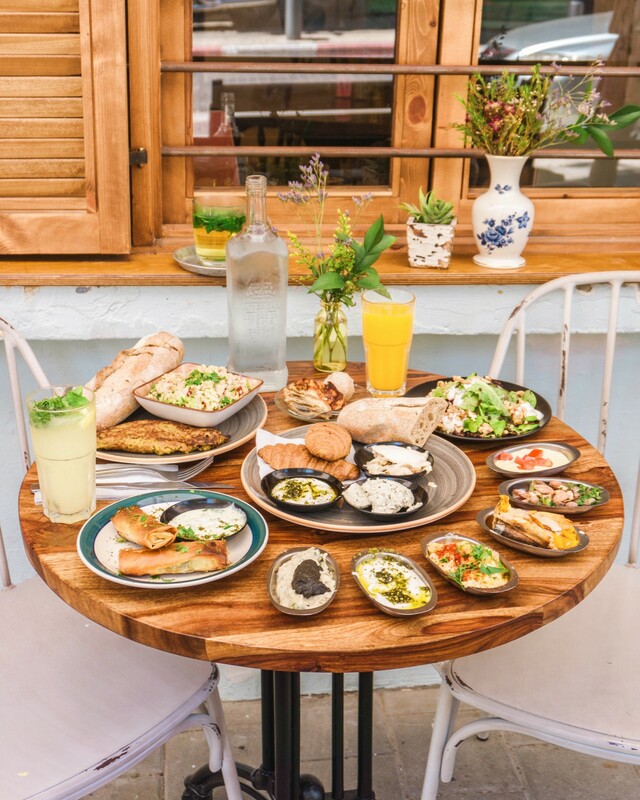 Meshek Barzilay is an organic vegetarian and vegan restaurant located in the middle of the beautiful Neve Tzedek district. They serves everything your heart desires, ranging from an amazing pizza, to lasagna, cashew cheeses, curries, juices, smoothies, etc. 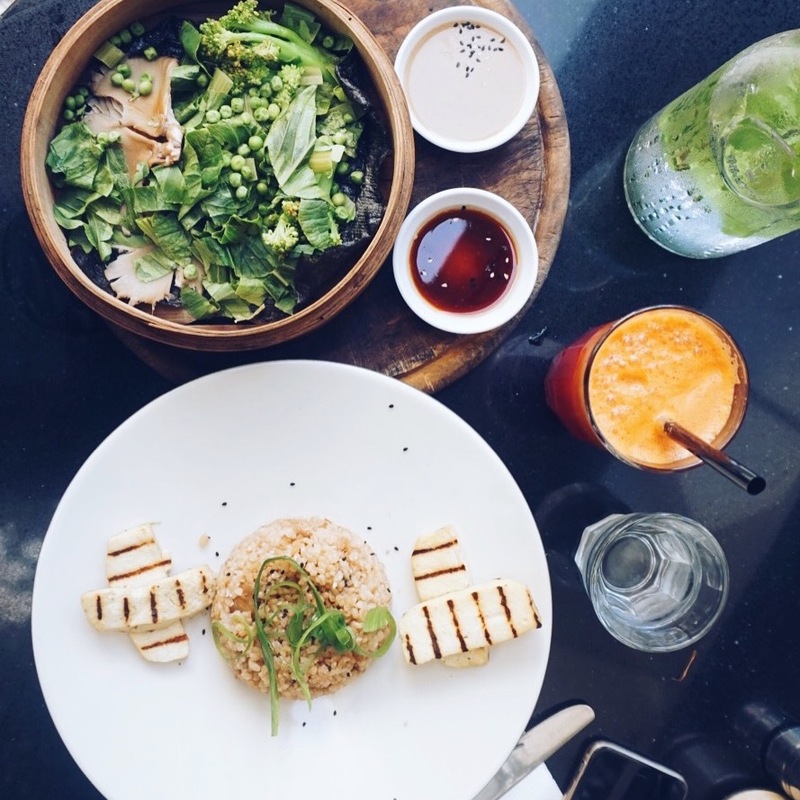 My absolute favorite for a healthy twist is the brown rice (best brown rice I ever ate), grilled tofu, steamed greens w/ mushrooms and tahini dressing on top – so yum and good for you! They also just opened a deli next door where they sell my favorite Utopi vegan cheeses and tons of homemade deliciousness to take away like lasagna, salads, stews etc.! 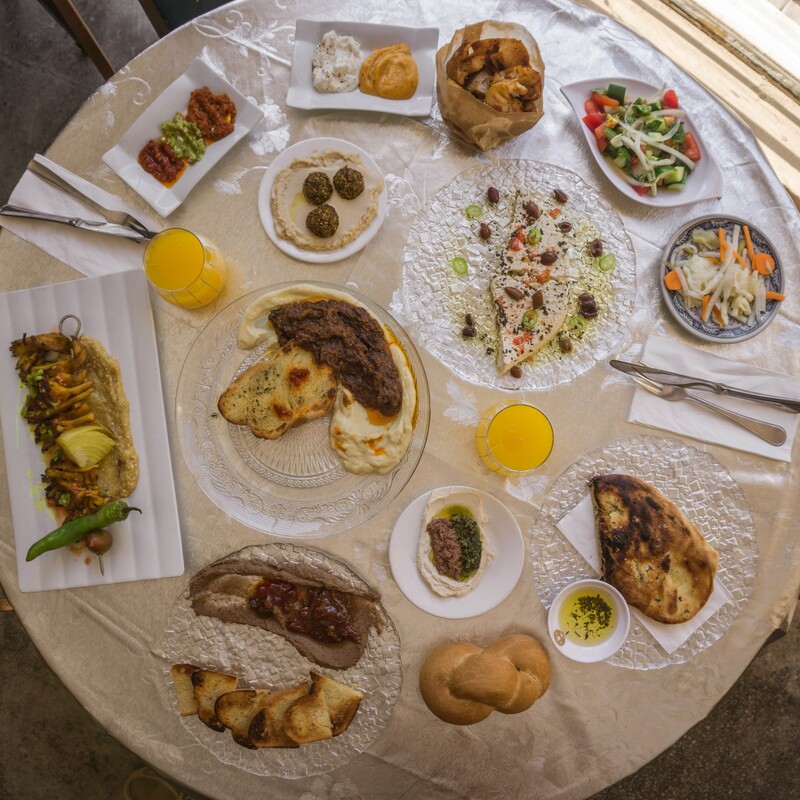 If you haven’t been in the Middle East before, you might have never heard of Sabich before. 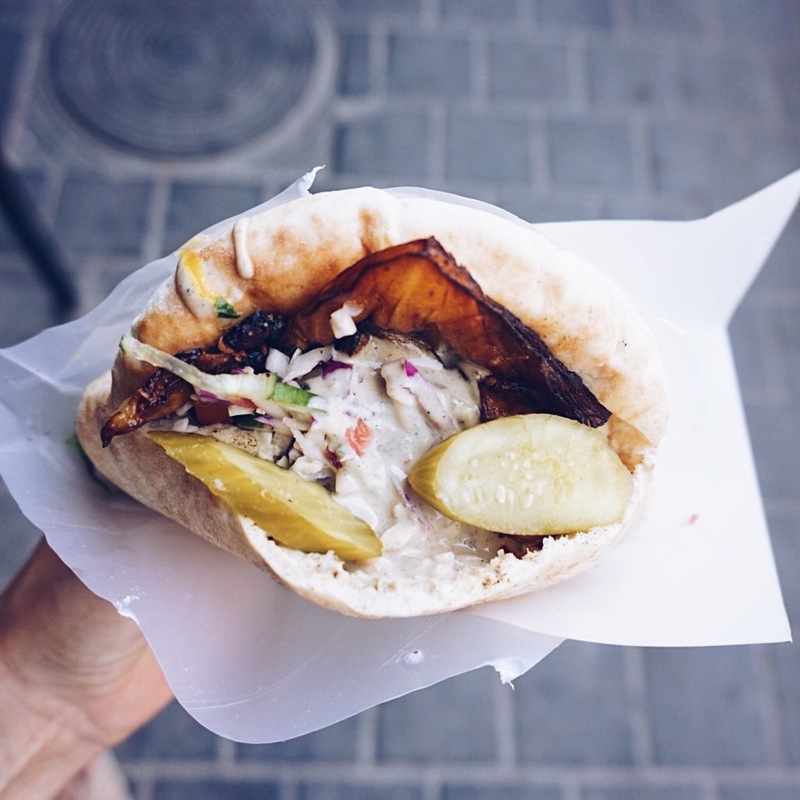 Sabich is a traditional Jewish Iraqi pita sandwich, which was ‘imported’ from the Jewish Iraqi immigrants and is now a staple in the Israeli cuisine. The original version includes a hard-boiled egg, but it is equally tasty without. My favorite Sabich place is Sabich Frishman (were you’ll also find great falafel btw). Basically, what you’ll get is a freshly baked pita bread, filled with fried eggplant, tons of Israeli salad (a mixture of cucumbers, tomatoes and onions), potato, chopped parsley, tahini sauce and amba (a tangy mango pickle condiment popular in Indian and Middle Eastern cuisine). In addition to that it can be topped with pickles and hot sauce. This is the perfect food after a long day at the beach as it surely is incredibly tasty and just has to be eaten and tried once in a while! 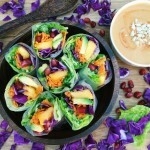 This is one of the new trendy vegan hot spots in town! When asking people you will hear very mixed reviews. Some rave about it while others left disappointed. So I went myself to see what the fuss is all about. From my own experience I found this place to be a bit overrated. You could tell that the food was high-quality, tasty and beautifully presented, but unfortunately the portions are very small and it’s overpriced! I went for a Friday evening dinner with my boyfriend and two friends, we were recommended to share their dishes, apparently you order a bunch and share them all which I generally love as a concept because you get to try everything, so we had about 6 different dishes. Without even having drinks (just tab water) we paid $35 per person but left hungry. Don’t get me wrong, the dishes themselves were good just very tiny so each person had about 2 spoons of each dish. My boyfriend got a pizza afterwards because he was still so hungry. It’s a shame because their food was really delicious and interesting, just too little for too much! I saw that they do have a burger on the menu for $18.50 so I’m sure I would have been satisfied by this one – but the way they suggest you to order, it would take about 3-4 small dishes per person to be fully satisfied. For anyone who has the extra change though, I’d recommend the place! 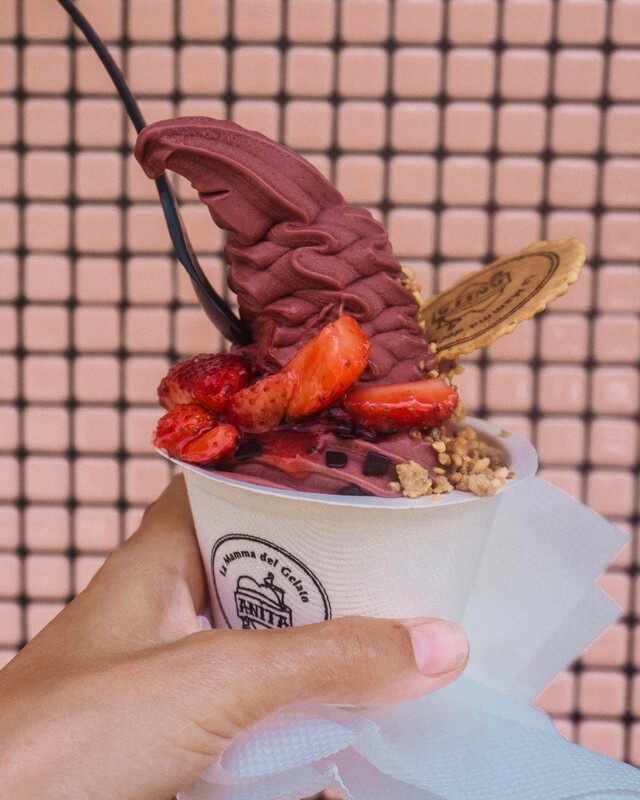 The same brand not only has this juice bar but also includes a frozen yogurt shop that serves vegan frozen yogurt (usually coconut/açaí soft serve), topped with as many toppings as you like (already a huge YES!). Highly recommend checking both out! 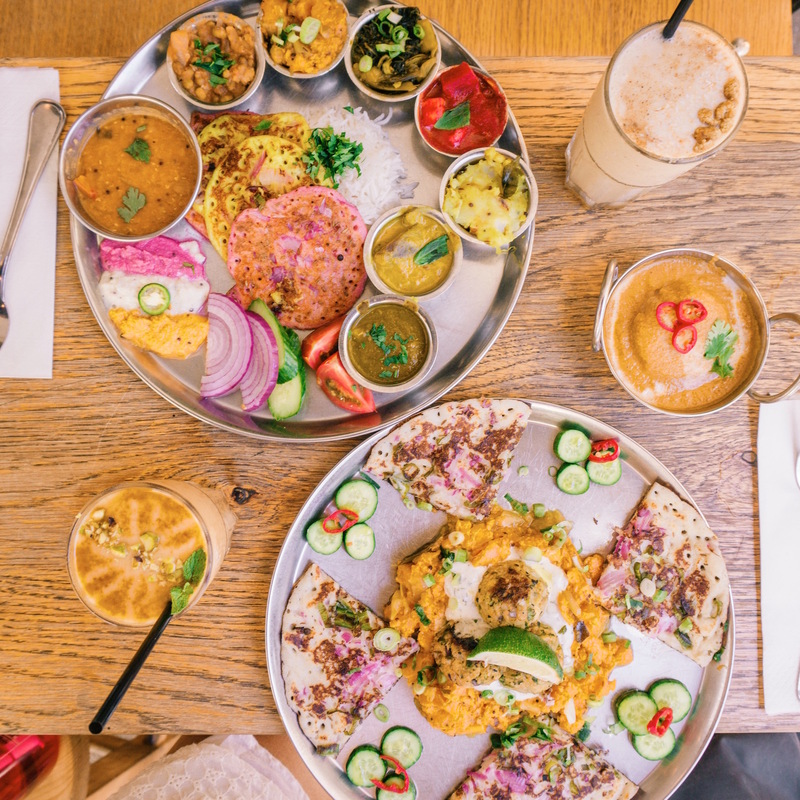 Vegetarian Indian food in South Tel Aviv serving an array of delicious vegan meals with rice, lentils, vegetable stew, and bread. The atmosphere is fun and hippy, and you sit on the floor, leaving your shoes outside as it’s custom in India. 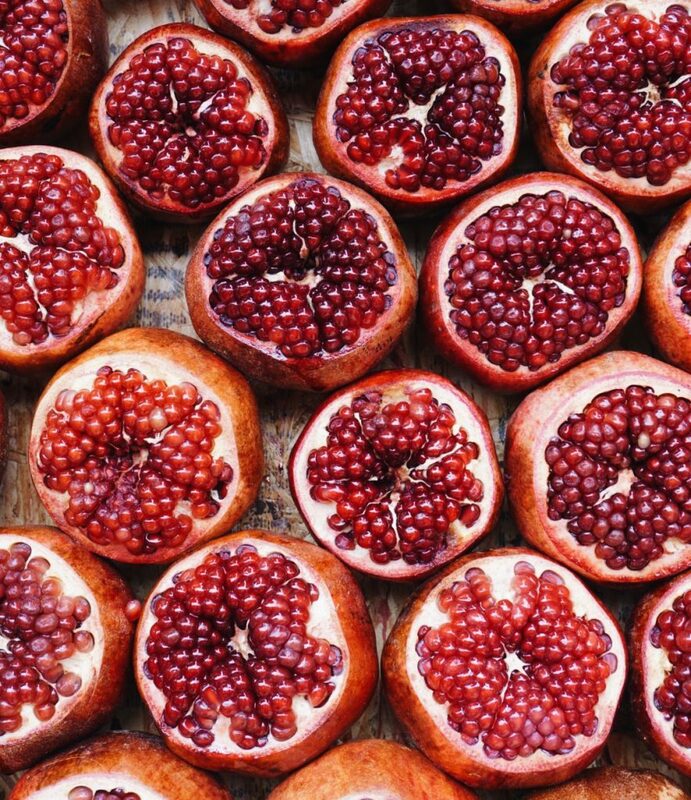 If you’re looking for creative, wholesome and healthy food to nourish your body, look no further! The place is very cozy and filled with tons of vegan deliciousness! Make sure to try their signature ‘mountain’ dish, which changes every day! 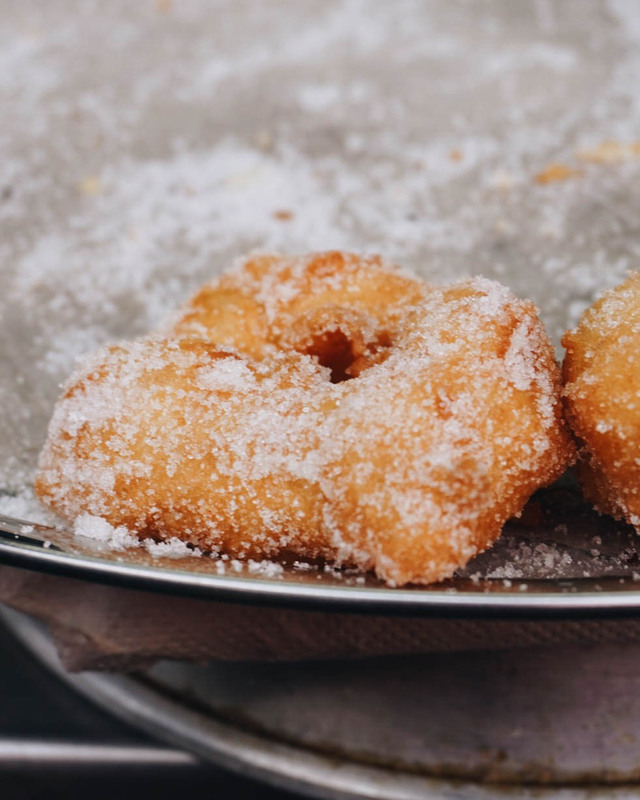 You can find a variety of kosher vegan donuts sold at this Israeli franchise of the American Mr. Donut chain all across Tel Aviv! 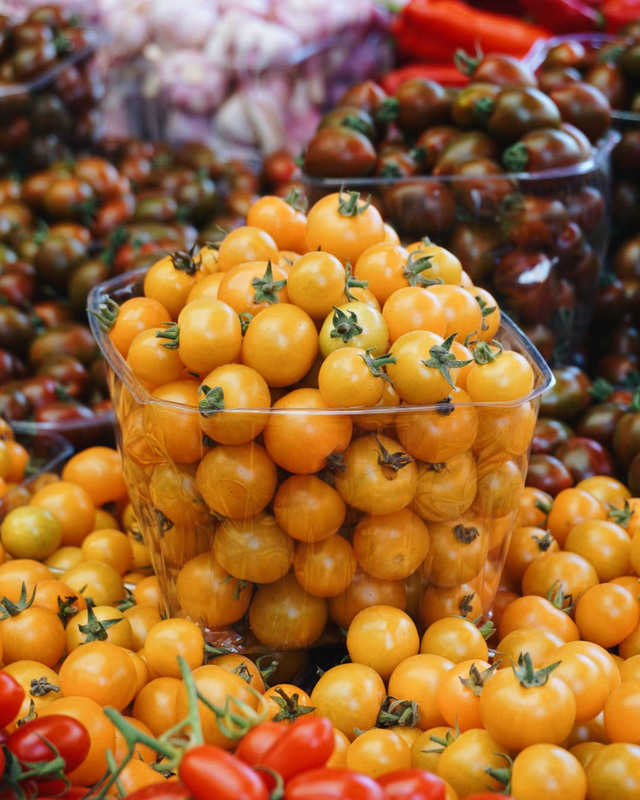 Market offers a delicious array of seasonal food with stews, soups, sandwiches, salads! 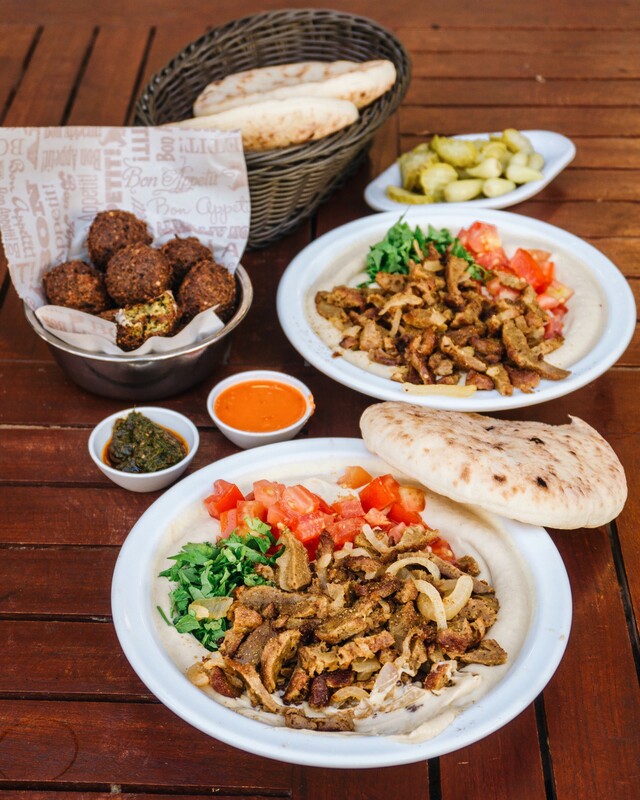 They have two different locations but their Dizengoff branch is the one that’s actually vegan! They have very cheap, fresh food and big portions! The perfect place to stop for lunch! 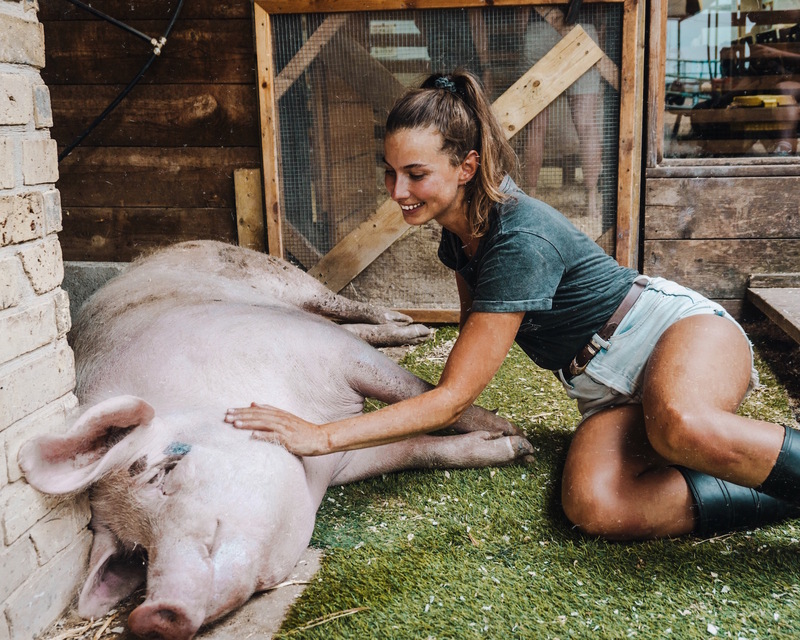 I you ever feel like escaping the city for a few hours, just a 40 minute drive to the north you will find the beautiful Freedom Farm Sanctuary! It is the first and only Israeli sanctuary for farm animals so far and well worth a visit! The sanctuary was created out of a vision to make a significant change in the attitude of human beings towards other earthly creations, dreaming that one day we will be able to view animals as creatures entitled to lives of freedom, with whom we can live side by side harmoniously without hurting, abusing or exploiting them, and without taking their flesh, their liberty, and their soul. The founders of the sanctuary Adit and Meital are the most wonderful, loving souls and so are all the volunteers who are working up there! It was my first visit at a sanctuary and we ended up spending almost 4 hours there. We just had so much fun observing, cuddling and playing with all the beautiful animals! 🙂 One can only admire all the work that went into creating this place and keeping it running! I’ve written a more detailed post + video about my visit up there which you can read HERE! I’ve also started a GoGetFunding campaign- which you can find HERE – if you can please consider helping – every $1 helps keeping the animals fed, secure and healthy! You are absolutely gorgeous. Israel loves you! Wow very thorough! 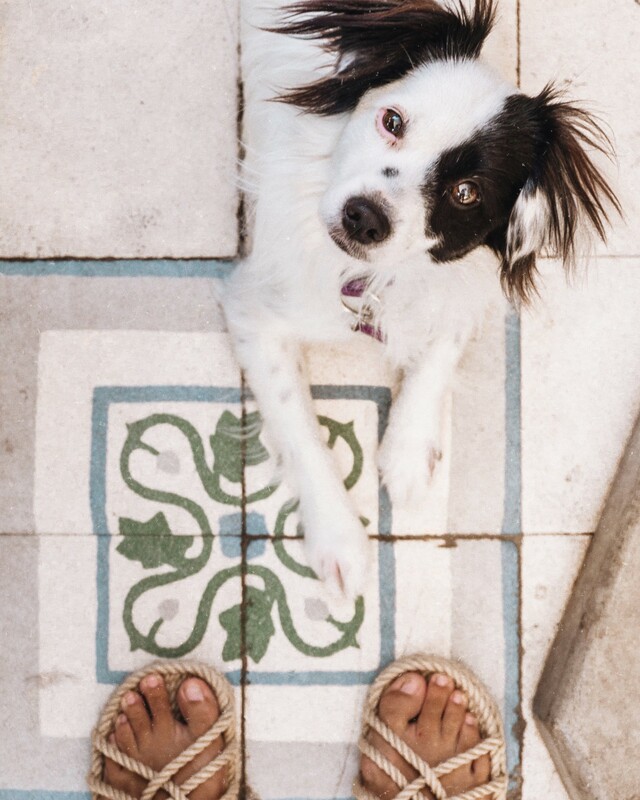 Great photos and great advice – even for locals. Thanks! Israel has never really been on my travel radar. Now it sits high on my “dream vacation” list. I had no idea.. learned SO much from this article and it’s inspired me to be very excited to learn more. Thank you for sharing! Love this article! 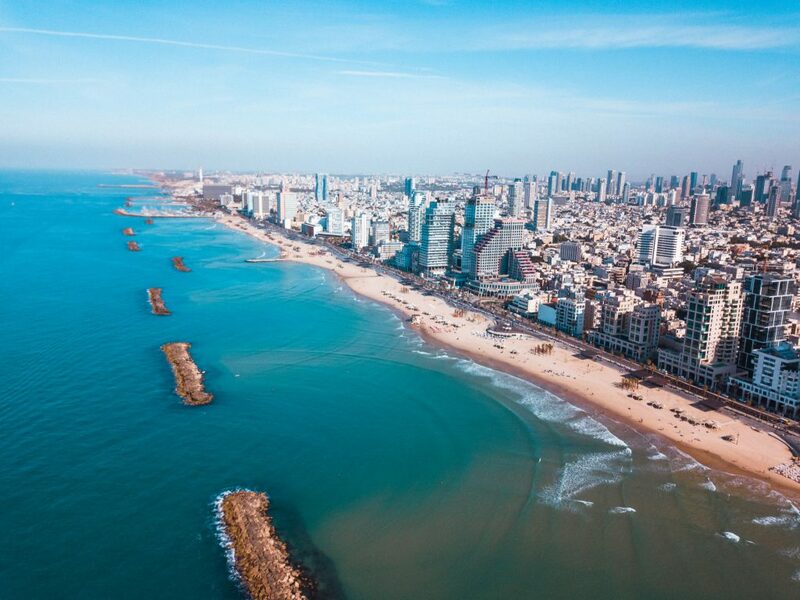 I’m currently visiting Tel Aviv and your article is my go-to guide. Where is the vegan schawarma and hummus? I’m at Abu Hassan now and they don’t have it. Thank you for this. Beautiful article with stunning photography. I so want to go to Israel now. I’m already obsessed with their array of dates ( I go through a box full every couple of days) and this is just making me more excited to go!!!! Sun, beach, dates, sanctuaries, vegan and lgbt community!!! Just wow. wow, this looks amazing! I’m gonna visit Israel soon and already very excited. could you recommend any vegan places, like coffee shops, to work from? Anastasia and Cafe Xoho are great places to get some work done! 🙂 Have a great time! Next time I also recommend Abu Adham which is my favourite hummus. the blog is amazing. We only have one evening in tel aviv and they all look great. which one would you recommend the most? What a fantastic post. We spend a lot of time in Israel each year. I cant wait to try some of your suggestions. Sabich is the best sandwich of the planet! We always stop there and eat one before heading to the relatives for dinner. Lol Thank you.